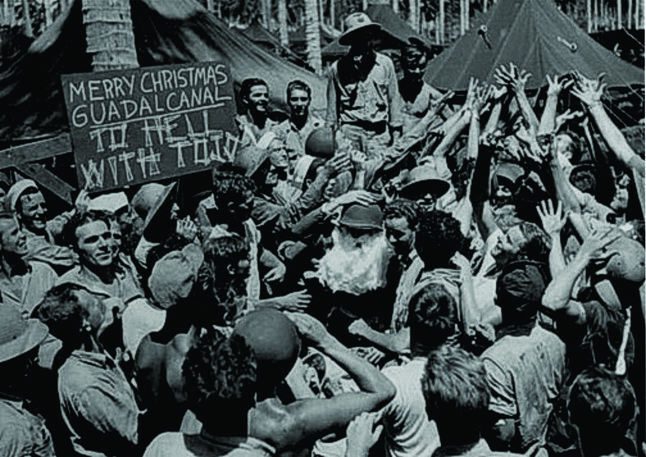 Although World War II did not pause for the holiday, Americans on both Fronts did their best to celebrate Christmas; but wartime separations and deprivations made festivities poignant and bittersweet. Though we were very, very young, a backward look at what our families faced is both fascinating and inspiring. The courage, sacrifices, and fears that confronted those abroad and at home consumed their every moment as the war raged. Perhaps the wonder of our birth and the hope for a better future that we represented brought the needed comfort and strength to face each harrowing day. 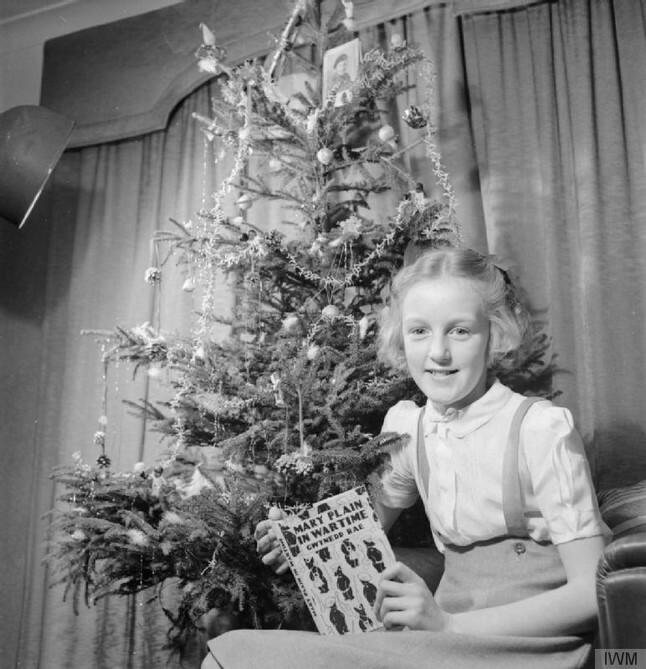 With these somber thoughts, we begin this series: "Christmas during World War II." SEPARATED FROM HOME AND FAMILY, CHRISTMAS DURING THE WAR YEARS FOUND LONELY AMERICAN SOLDIERS ON MANY FRONTS. In 1941, only a few weeks after the Pearl Harbor attack, Americans were embroiled in a fierce retreat in the Philippines. 1942 found soldiers fighting on Guadalcanal and New Guinea in the Pacific and in Tunisia on the African continent. In 1943, U.S. forces fought on Bougainville, New Britain, New Guinea, and in Italy. Christmas of 1944 found the Allies reeling from the Battle of the Bulge in Belgium and also engaged in France and northern Italy plus battling once again in the Philippines. Throughout the war, sailors faced attacks at sea. In addition, many servicemen and women were stationed far from home even if not on the front lines. Sons and daughters, husbands and fathers in distant lands faced extreme dangers thus their homebound loved ones were in a constant state of anxiety as well as loneliness. Those feelings were bravely subdued during the holidays to make Christmas festive for the children in their care. But, things couldn't help but be different - even little things. For example, fewer men at home resulted in fewer men available to dress up and play Santa Claus. Women served as substitute Santas at Saks Fifth Avenue in New York City and at other department stores throughout the United States. 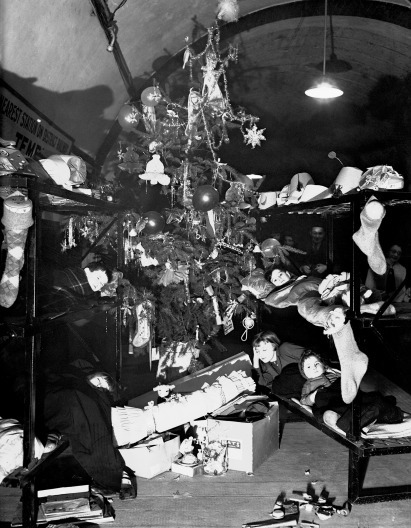 During the war, Christmas trees were in short supply because there was a lack of manpower to cut them down and because railroad space was devoted to the war effort. Shipping trees to market was, therefore, limited or non-existent. The natural trees that were obtained varied in size and shape and were most often smaller and a bit scraggly. A few branches might be missing, or the entire tree might tilt slightly to one side. Ever inventive, Americans tried to enhance their Christmas trees by giving them a snow-covered effect with a mixture of Lux soap flakes and water, which they'd brush on the tree branches. Results were debatable. Tree decorations of the time focused on three essentials: “Angel Hair,” spun from fiber glass and if touched from the wrong angle, left bits of glass in the skin; colored lights, often an eerie blue; and an eye catching “tree topper” that would be most likely used year after year. Many Americans threw their German glass-blown ornaments and exotic Japanese ornaments in the trash as soon as the war began. The shortage of materials, like aluminum and tin once used to produce ornaments, led many people to make their own decorations. Magazines contained patterns for ornaments made out of non-priority war materials, like paper, string, and natural objects, such as pinecones or nuts. Homemade paper chains made from newspaper were decorations on almost every tree. 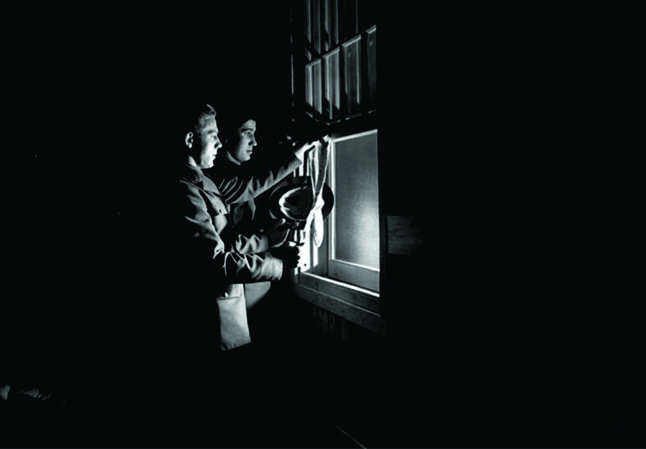 Outdoor Christmas lights were one of the first wartime casualties. 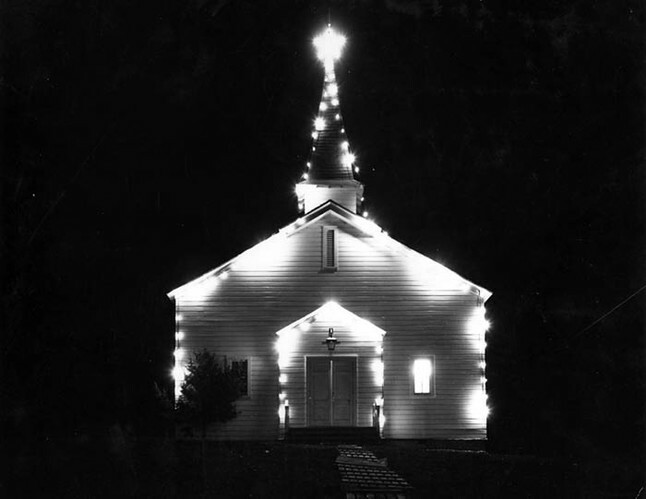 In Antioch, California, for example, outdoor lights were turned off on December 11, 1941; and the tradition of lighting the community Christmas tree was postponed for the duration. Blackout conditions on the coasts, and later a nationwide dim-out to conserve fuel, meant Christmas might be merry—but not quite as bright. Traditional decorations were scarce overseas as well, but improvisation and creativity reigned. 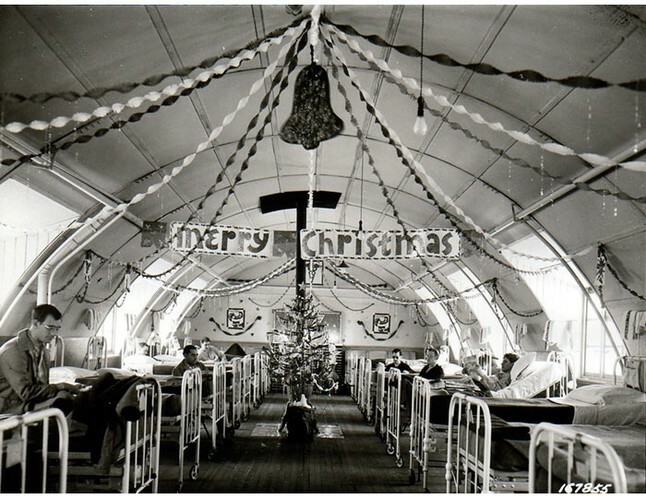 In the hospital wards, nurses snipped tin from used plasma cans to make stars to string from the tent ceilings or to decorate little trees. 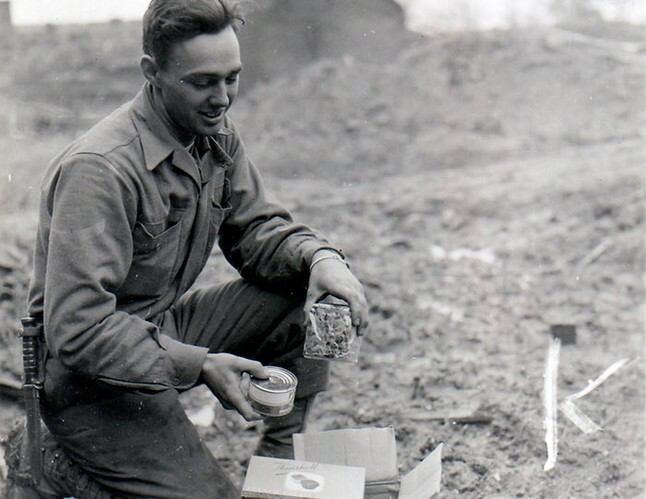 Ration tins and foil wrappings were used for other makeshift decorations. 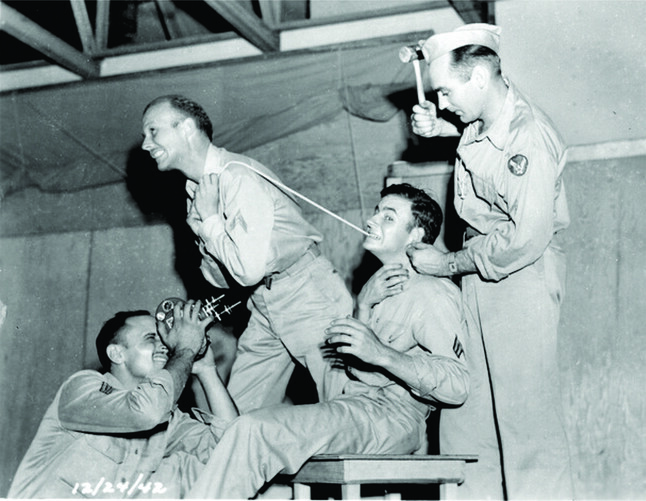 Gift giving presented unique challenges during World War II. Many consumer items weren’t manufactured due to shortages of raw materials and to the conversions of factories for military use. Unfortunately, there was little left to buy, and some items that had been taken for granted prior to 1939 did not return until the late 1950s. Metal toys nearly disappeared as did automobiles, radios, bicycles, typewriters, and other standard goods. Hardest of all were the scarcities of toys for the children. Manufacturers switched to wood, cardboard, and a new material called plastic. 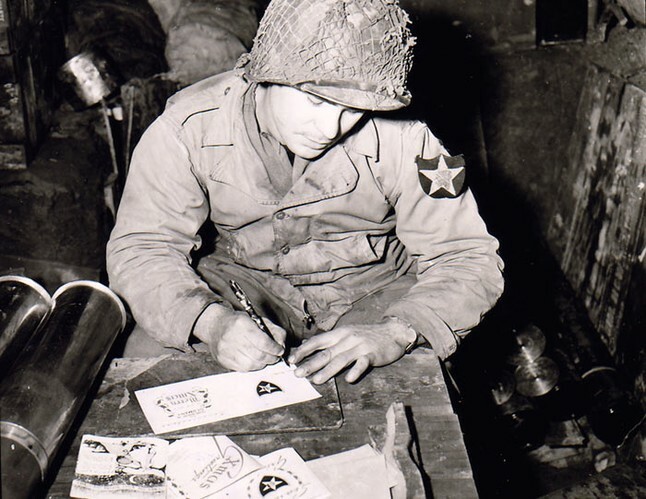 In an effort to share the holiday with their loved ones, countless letters and gifts were sent overseas. The Postal Service mandated that the packages be wrapped securely, addressed correctly, and mailed by October 31st; but even with these precautions, there was no guarantee that the mail would arrive - in one piece - by the holiday. The sheer volume and the distances that must be travelled made delivery extremely difficult. It wasn’t unusual for gifts to arrive months late or for the favored homemade cookies boxes to arrive in a crumbled state. Christmas dinners weren’t quite as elaborate as before the war though Americans did save their ration stamps to provide extra food for their holiday meals. Rationing of sugar and butter meant fewer sweets; and meats, including ham, were controlled as well. 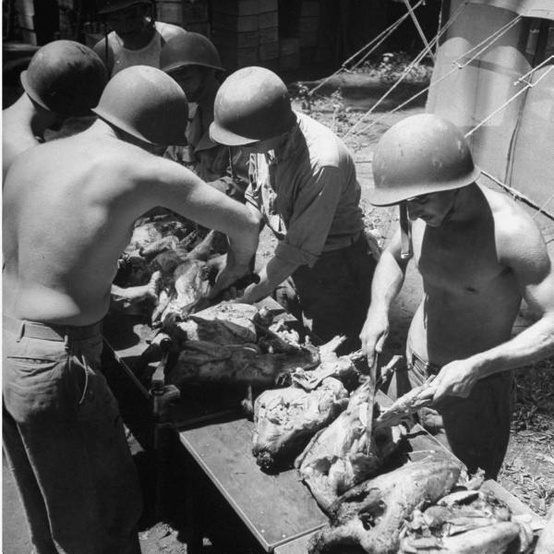 Although turkey wasn’t rationed, the armed services worked hard to provide turkey dinners to the servicemen overseas, which meant fewer turkeys on the Home Front. 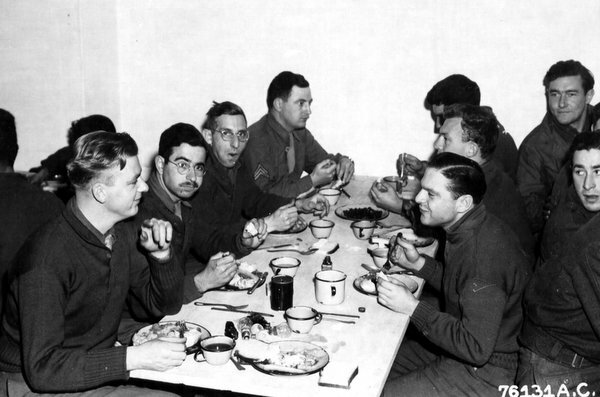 To try to brighten the mood, a traditional Christmas turkey dinner with all the trimmings was provided to those serving abroad wherever possible; but aside from the special holiday meal, the troops were still required to carry on with their usual hazardous wartime duties and missions. 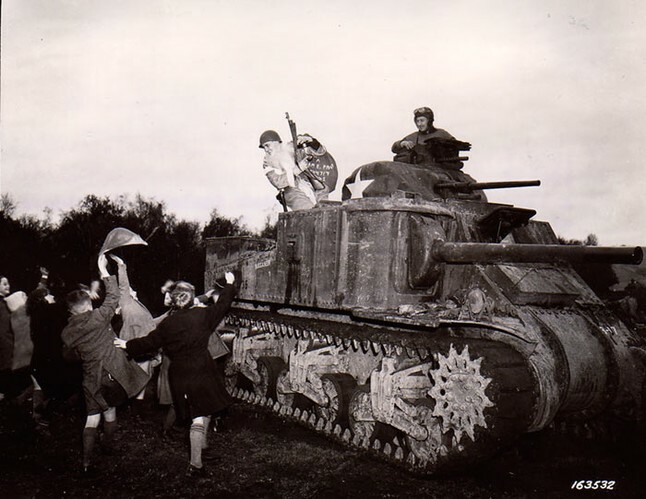 The holiday tradition of traveling to visit family and friends had to be curtailed during the war. Rubber was in short supply because Japan cut off sources of raw rubber from Southeast Asia. Gasoline was rationed, and civilians were discouraged from train travel to free the rail system for moving troops and supplies. The average American could only obtain enough gas to drive sixty miles a week, and a Victory Speed Limit of thirty-five miles per hour was introduced to save gas. Autos became scarce, because none were built after early 1942. Everything that could be used to make material for the war effort was used, and it was used at a feverish pitch. 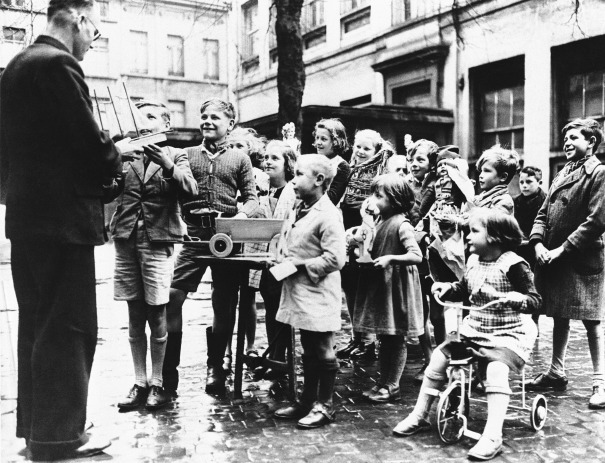 Christmas during World War II left a lasting musical legacy. Bing Crosby’s recording of White Christmas topped the charts in December of 1942, has since sold over 50 million copies and become one of the biggest hits of all time. I’ll Be Home for Christmas was a triumph for Christmas, 1943; and Judy Garland’s Have Yourself a Merry Little Christmas was in the Top Ten in 1944. These three songs are similar in that they express melancholy and longing for home and loved ones, wistfulness for tradition, and an optimistic hope for the future. These feelings resonated loudly during wartime and still echo forcefully today, which explains their continued popularity. 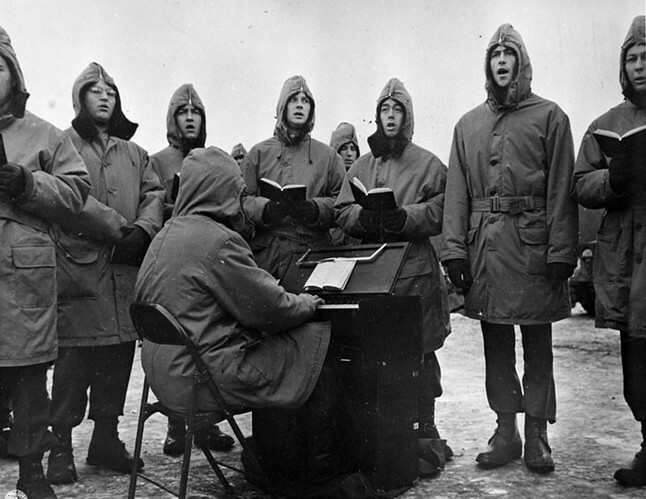 Being separated from family and friends during the holidays made war that much more difficult for everyone; but on all fronts, the religious services to honor Christmas were sincerely valued and the accompanying carols about “peace on earth, goodwill to men” were sung with special fervor. We’ll explore this extraordinary time period with original photographs and personal stores from those who lived and struggled through the war, always with hope in their hearts for a better future for the next generation—our generation. WALKING HOME FROM A SHIRLEY TEMPLE MOVIE TO HER FAMILY'S FARM IN STREATOR ON DECEMBER 7, 1941, Millie Fricke and her two older sisters heard a man shouting that the Japanese had bombed Pearl Harbor. As news spread, and the nation readied for war, locals sitting around the dinner table wondered when farm boys would head off to battle and about women's roles in the effort, Fricke, now of Elgin, said. The news shaped that Christmas season, Fricke, whose maiden name was Millie Hultman, recalled. As the bombing led to war with the Japanese, Fricke said she and her friends wondered how it would impact Christmas. "We wondered if we would get the oranges, the nuts in a box, the pajamas and slippers we would always get," Fricke said. "There were plenty of somber questions. We wanted to know who these aggressive people were and why they did what they did." Christmas 1941 was a time of uncertainty for the nation. Just 18 days after the attack on Pearl Harbor, Americans were still reeling from the shock and devastating casualties suffered in the surprise attack. Nevertheless, Americans found ways to celebrate that Christmas Day. Now, 75 years later, local residents from throughout the area share their recollections from childhood about that one Christmas, long ago. "I noticed how much stronger people felt about their faith," Fricke said of that Christmastime. That Christmas day, though, the Hultman family did return to a bit of how things had been. "We did get our oranges, nuts, pajamas and slippers," Fricke said. The nation's first wartime Christmas in 24 years was not a white Christmas locally, but a cloudy day with temperatures in the 30s. Illinois Bell Telephone asked customers not to make long distance calls on Christmas day unless it was a necessity. The lines needed to be clear for national defense matters and calls to soldiers might be delayed for several hours. British Prime Minister Winston Churchill came to America, and spent the holiday with President Franklin Roosevelt at the White House. Pope Pius XII urged peace in his speech for the third consecutive Christmas, while Adolf Hitler spent the holiday with his troops in Russia. Church leaders at the time had mixed feelings. Chicago Archbishop Samuel Stritch removed the ban on midnight masses and decried the war as "a crisis between Christian and ugly materialistic cultures." But the Boston archdiocese prohibited midnight masses to avoid having hundreds of people out after dark in the event of an emergency. 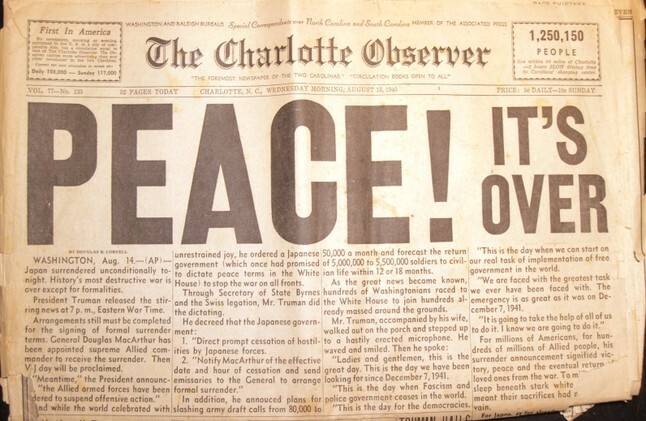 One newspaper called it a "strange, dark Christmas," and said the only gift people really wanted was peace on Earth. 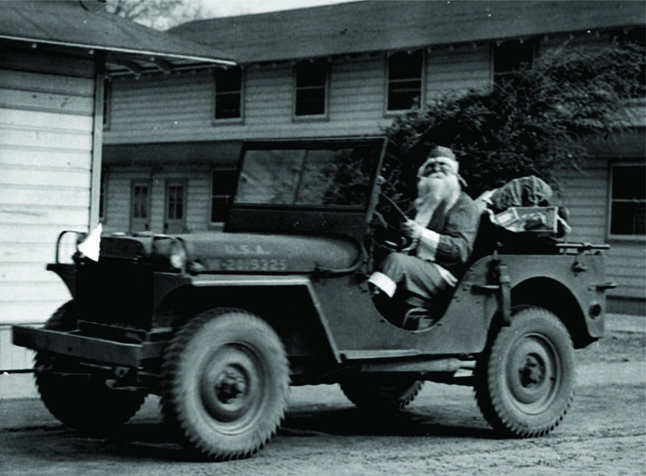 Meanwhile, Santa, donning a helmet and arriving by plane or jeep, visited US servicemen who could not leave their bases. Art Nylen, 85, who grew up in Chicago's Roseland community, remembers that Christmas was kind of an escape from the worries of the world for people. "It was still a fun Christmas with all the trimmings," he said. "The war was out of your mind for a day." Beverly Nylen, 82, Art's wife, was seven at the time and had also grown up in Roseland. She remembers all the fear and paranoia after the Pearl Harbor attacks and concerns about all the men who would be sent to war. "I knew there was a war going on over in Europe and I was very fearful it would happen over here," Beverly Nylen said. "My big concern was that my daddy would be sent to war." But, she said, health issues kept him from enlisting and he had reassured her throughout the war that everything was going to be OK. In those days, Art Nylen said, stores were not as decorated for Christmas as they are today, except for the holiday windows at Marshall Fields. Art and Beverly would put on their finest attire and ride the train downtown with their families to see the Marshall Fields windows and have lunch at the Walnut Room restaurant. That year was no exception. "That was the highlight of Christmas," Art Nylen said. Americans would have embraced the holiday, because it was something that was "traditional and stable in a topsy turvy world," said David Golland associate professor and coordinator of history and social sciences at Governors State University. "People looked to things like Christmas or Hanukkah and marriage as things that they could hold onto," he said, noting that there was "an astronomical uptick in the marriage rate" in the weeks following the attack. Youngsters concerned about their future and men not knowing if they would be drafted, were looking for stability, Golland said. Newspaper accounts from the time show people carried on their daily life as best they could. Schools still held their holiday programs, chorale groups staged concerts, 750,000 cut trees arrived in Chicago, groups caroled on State Street, and newspapers were filled with full page ads promoting gift ideas. Black Friday did not yet exist, but deals were plentiful: slippers for 98 cents; a fur trimmed coat, $15; men's shirts, $1.49, and pure silk hosiery – eventually hard to come by – was 89 cents. One Dec. 19, 1941 headline in the Star Tribune proclaimed: "Retail Sales to Break All Records." While people shopped they also came to grips with the reality of war. Chicago Heights planned to create its own defense council and guard its water supply, the Navy relaxed its physical requirements, and the Red Cross recruited volunteers and stepped up fundraising efforts. "We are the same people we were yesterday and yet we are different," an editorial comment in the Star Tribune noted. People were urged to "avoid hysteria" and support the national effort. An ad from Citizens National Bank declared, "Nothing can take Christmas away from us." In the women's pages, amid the club news, engagements and holiday recipes, was a headline "Society Weighs War's Effect on Holiday Parties," reporting that some folks struggled with whether to keep life as normal as possible or abandon plans for frivolity in such grave times. Elaine June Eagon, 88, of Waukegan, was a freshman at Waukegan Township High School and lived in North Chicago at the time. Her father, Charles Bernhardt Manezke, moved the family from Chicago to Grayslake because there was no work. Then they went to Lake Bluff where in return for a home he took care of a judge's farm before eventually settling in North Chicago. That Christmas they did have a tree — tiny with no lights and few ornaments, she said. "Our tree was small and set in a bucket to keep fresh," she said. "We didn't have a lot of decorations on it. We made paper rings and that's how we decorated it. I don't think mother had any old Christmas ornaments." Yet, people were generous. In Chicago, the Good Fellows of the Traffic Club raised money to donate 400 baskets to needy families, according to news accounts. The Chicago Tribune invited readers to "adopt a Yank" and send cards and gifts to those in the service who could not go home for Christmas, and over 10,000 readers responded. The post office hired more workers to handle the additional packages and cards being sent to soldiers. Lee Tolksdorf, 91, was 16 years old and living on Chicago's South Side when he heard news of the bombings. He said the fear in those days was constant as the nation prepared for war. "We had all seen it coming but we didn't want to because we were afraid of it," Tolksdorf said. "Once it happened then we faced reality and the American people came through." But Christmas in 1941, at least for Tolksdorf's family, was "pretty much the same" as it had been in years prior. Food rationing hadn't started, yet, so the size of holiday meals wasn't as affected as it would be in following years, he said. 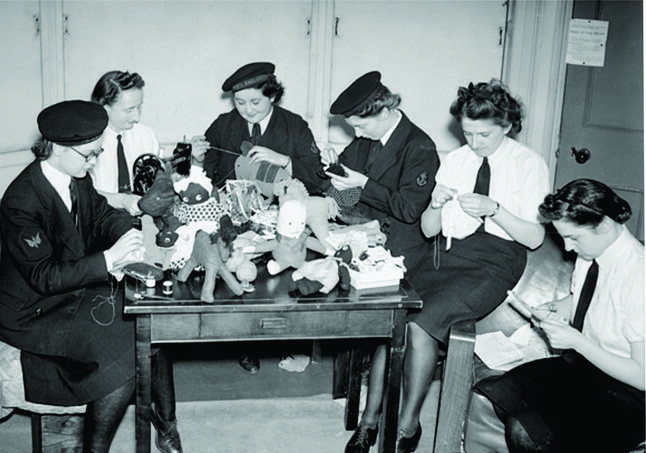 People hadn't yet started replacing some Christmas presents with war bonds to support the war effort. He recalls receiving many clothes as presents that year. Growing up during the Great Depression, Tolksdorf recalls, Christmas gifts were always clothes, not toys or bicycles. 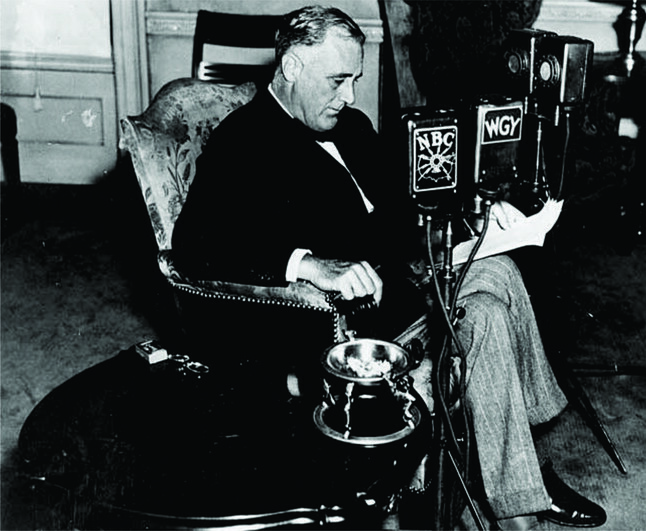 While the economy was doing better in 1941, Depression-era customs lingered, he said. "I had been told my entire life that things were hard to come by," Tolksdorf said. He was an only child raised by a single mother but he recalls happy times with his two uncles, aunt and three cousins during that 1941 Christmas season. Elinor Richoz, then Elinor Radde, was 17 that Christmas and a senior at Elgin High School, where she was a hall monitor. "We lived out in the country, at the end of Jefferson, with no electricity or running water," Richoz said. "We had lost our house in a tornado in 1933 and rebuilt. The well was a half-a-block away." Her mother, Gertrude, worked in a garment factory, and her father, Vernon worked building houses in what would become Elgin's Sunset Park neighborhood. To keep up with what was going on in the world, the family would listen to the radio. "It was a little scary," Richoz said. "We'd hear bits and pieces of what was going on." And for Christmas, Richoz said she, her sister Verna and brother Floyd received clothing made by their mother out of fabric remnants from the garment factory. "My only gift was a Christmas dress," she said. Even before Pearl Harbor, men were drafted based on quotas. While quotas were raised for the war, it did not happen immediately, and neither did the rationing of products, Golland said. Richard Miller, 91, said he was a junior at East Aurora High School that year. "It wasn't a happy Christmas," but the glimmer of hope was the country's show of unity, Miller said. "Families already were already struggling, he said. Efforts began focusing on the war. "Aurora at the time had all kinds of factories and everything went for war production. People joined hands. It was wonderful how the country united," Miller said. Francis Barenbrugge was a 15-year-old high school student in December, 1941, and the memories of learning of the Pearl Harbor attack and the anger he felt against the Japanese remain as vivid today as had they happened yesterday. "I remember hearing President Roosevelt on the radio with my parents, and our reaction in the days that followed was, How could this happen?" said Barenbrugge, 90, a lifelong Naperville resident. "To me, it seemed impossible the Japanese could do that much devastation and that we didn't know anything about it beforehand or what they were capable of doing." Christmas that year was sedate, Barenbrugge recalled. Three family members were already in the military, he said. His only present was a pair of slippers. "I had two older brothers named Joseph and Carl, and they had already been drafted into the Navy by then," Barenbrugge said. "One was on a submarine, as I recall, and the other on something like a cargo ship that was bringing other soldiers oversees. My sister had enlisted, too." World War II veteran G. William Moore, 99, of Aurora, was away from his family in Kentucky and living in Wilmington, Del., that Christmas. Moore, who eventually served in the Navy, was 24-years old when the attack on Pearl Harbor happened, and he had recently accepted a new job. Moore said he was raised in a family of nine children so being separated from his immediate family already made it a difficult holiday for him. "After Pearl Harbor everyone was ready to go fight. It brought the country together," Moore said. "The thought on people's minds that Christmas was that we have got to win this war." Elgin Courier-News reporter Mike Danahey, Lake County News-Sun reporter Frank Abderholden, freelance reporters Frank Vaisvilas, Linda Girardi and David Sharos contributed. LATE IN 1944, AUTHORITIES AT SECURITY UNIT NO. 84 - one of five hundred camps on American soil housing German prisoners of war - began to feel a sense of relief. Here at Papago Park in Arizona, a difficult lot of more than three thousand officers and sailors from the German navy and merchant marine finally appeared to be adjusting to camp life. This seemed especially true over in Compound 1-A, which housed the troublesome Nazi U-boat commanders and their crews. Guards marveled at the sudden changes in 1-A. The compound was much neater. The prisoners appeared in high spirits. They spent hours creating large and well-tended flower beds. With permission of the camp authorities they had even begun to build an outdoor court for faustball, or "fist ball" - volleyball. Several times a day the prisoners carefully groomed the court's surface with rakes provided by the guards. The Americans attributed all this activity to typical German organization and efficiency. Nearly 400,000 German POWs were brought to the United States during World War II, and officials recorded precisely 2,222 individual attempts by the Germans to flee their camps. But none of these assorted breakouts could match in audacity, scale, or drama the plan under way at Compound 1-A at Papago Park. It would trigger the largest manhunt in Arizona history, bringing in local law enforcement, the FBI, and even Papago Indian scouts. As John Hammond Moore notes in his account of the escape, The Faustball Tunnel, camp officials invited trouble by concentrating the least cooperative POWs in the two sections of Compound 1. These were the troublemakers, previous escapees, and other problem prisoners: officers and seamen in section 1A, noncommissioned officers in 1B. Only Capt. Cecil Parshall, the provost marshal, saw a problem with this arrangement. Parshall was an ex-police detective and decorated World War I veteran who, among other colorful exploits, had pulled off a bank heist while serving as a general in the Mexican army. Parshall pointed out that there was a spot in Compound 1 that could not be seen from the guard towers. "Those Germans were a fine bunch of men, smart as hell," he said later. "And it made no sense to put the smartest of them in Compound 1. I knew they would discover that blind spot." The site selected for the beginning of the tunnel was in the blind spot between the nearest guard towers that Parshall had warned about. The entrance shaft was three and a half feet from a bathhouse, which was the structure closest to the outer fence surrounding Papago Park. Diggers loosened a board on the side of the bathhouse to create a passageway and positioned a large coal box nearby to conceal the shaft. They would walk into the bathhouse, ostensibly to shower or wash clothes, then exit and slip down into the tunnel's six-foot-deep vertical entrance shaft. Three groups of three men worked ninety-minute shifts during the night, one man digging with a coal shovel and small pick, the second lifting soil in a bucket to the third man topside, who also served as the lookout. A fourth group of men distributed the excavated soil the next day. They flushed it down toilets, stored it in attics, or let it slip through holes in their pockets onto the new flower beds. 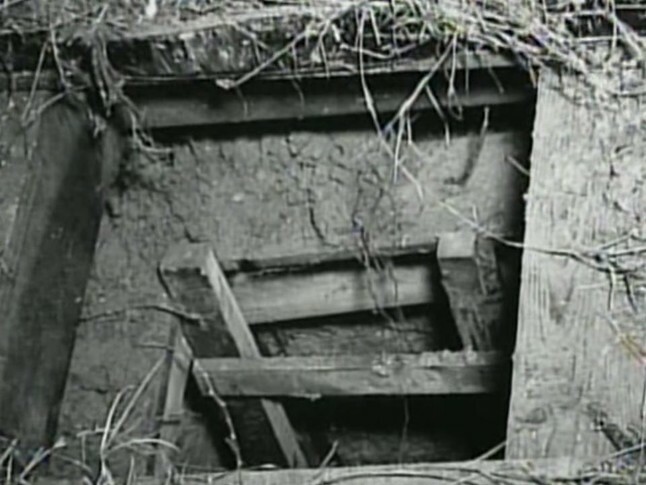 As the tunnel progressed, a small cart was fashioned out of a shower stall base to haul the dirt back to the entrance. Soil piled up at such an alarming rate that a new means for getting rid of it had to be found. Capt. Jürgen Quaet-Faslem, a cocky Prussian who had commanded U-595, came up with an idea. "Shouldn't we have a sports area in this compound?" he asked. "I think they are supposed to 'encourage' sports." Thus was born the notion of a volleyball court - on rough ground that would need to be leveled. This, the prisoners proceeded to do daily, spreading soil taken from the tunnel with the help of shovels and rakes provided by the Americans. Guards got used to seeing a mound of dirt there; they assumed it was the same old pile and not a fresh supply unearthed from the tunnel. The diggers intended to tunnel under two fences and a patrol road that encircled the camp. Just beyond the road stood an electric light pole in a clump of bushes. 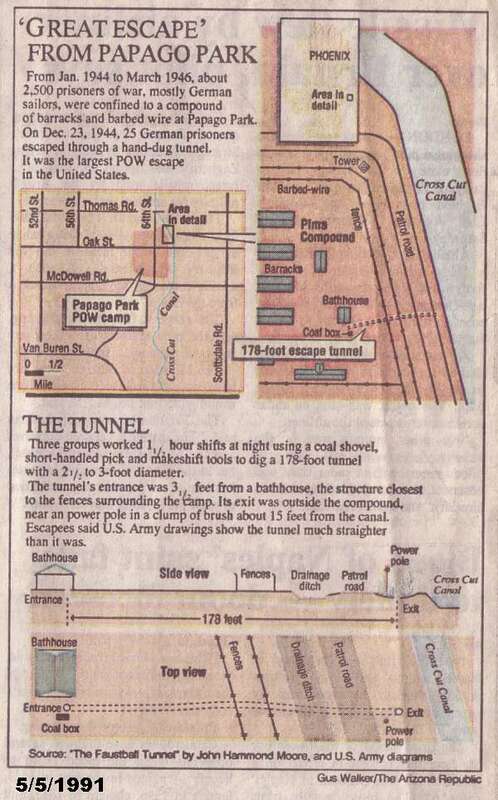 By triangulating on paper they calculated that the tunnel needed to be 178 feet long from the bathhouse to the pole. But someone wanted to double-check the distance. So he attached a small weight to a string and late one night hurled it into the undergrowth near the pole. Suddenly, a jeep with two American soldiers came along the patrol road. Capt. Hans Werner Kraus, skipper of U-199, watched in horror. "That string caught one of them right across the neck," he said. "Fortunately they were moving very slowly. He simply brushed it aside, said nothing, and the vehicle disappeared into the night. But the line broke and was still hanging on the far fence weeks later. Several times the Americans walked by, stared at the string, wondered how it got there and why." Back in February, Quaet-Faslem had escaped by hiding on a truck loaded with plywood. He crossed the border and made it more than thirty miles into Mexico before being recaptured. From that experience he knew that stocking enough food was vital. Though German prisoners disliked commercial American white bread—"nothing but air," someone remarked, "you can squeeze it into nothing"—they decided the basic item in the getaway packs should be bread toasted and pulverized into crumbs. It was packed tightly in waxed paper envelopes saved from individual breakfast cereal boxes. Mixing the crumbs with milk or water "would make sort of a mush that might be monotonous but it would be nourishing and easy to carry," said Kraus. Escapees also needed some kind of credentials. American photographers had taken snapshots for the prisoners to ship home to Germany in order to show how well POWs were treated in the United States, and the pictures proved useful for fake passports and other papers. The forged papers were imprinted with official-looking stamps, fashioned from scraps of leather and rubber, which would allow the escapees to pose as foreign sailors trying to get to California or the Gulf Coast. Prisoners earned U.S. currency by creating fake Nazi paraphernalia to sell to the guards. They used sand molds and melted toothpaste tubes to turn out Iron Crosses, eagles, and other insignia. Then they painted the items with black shoe polish and scuffed them up to simulate wear as if they were the real thing. The excavators . . . labored every night in the tunnel into early December. The final fifty feet were the most difficult to dig, as the tunnel plunged as far down as fourteen feet to go under a drainage ditch and the adjoining roadbed. Diggers worked by the light of a bare bulb strung on an electric wire connected to the bathhouse socket. The insulation covering the wire was badly worn in places, and everyone suffered painful shocks as they bumped against it in the tight confines of the tunnel, which was less than three feet in diameter. On December 20, the tunnel measured precisely 178 feet long. In the vertical shaft at the far end, Quaet-Faslem and Guggenberger pushed a coal stove poker upward through the ground and into the air. Then, through the tiny hole, they pushed a stick with a little rag tied on the end. Prisoners on the roof of one of the barracks saw this flag appear in just the right place near the electric pole and let out muted cheers. The completed exit was covered and disguised with two shallow wooden boxes containing dirt and grass to blend into the landscape. Three days later, on the afternoon and evening of Saturday, December 23, next-door Compound 1-B erupted in a noisy party. The noncoms there drank forbidden schnapps distilled from citrus fruit, waved a German flag, shouted, and burst into Nazi marching songs. 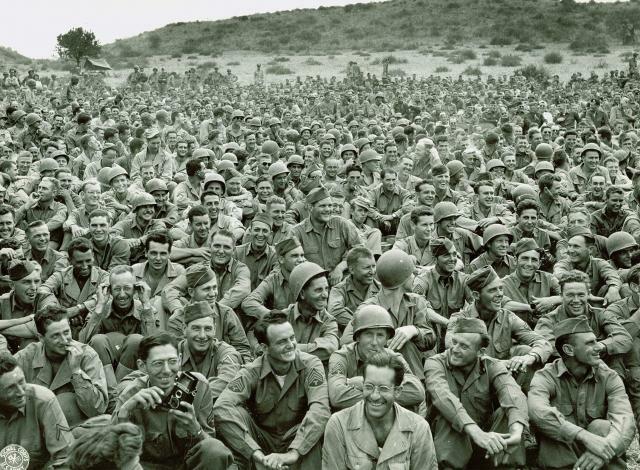 Ostensibly they were celebrating news of Hitler's last-gasp offensive in Belgium, the Battle of the Bulge. Under cover of this diversion, the escape began through the bathhouse. The escapers proceeded in ten teams of two or three men each, some carrying packs laden with nearly one hundred pounds of spare clothing, packages of bread crumbs and other food, medical supplies, maps, ersatz credentials, and cigarettes. Shortly before nine o'clock in the evening, the first team—Quaet-Faslem and Guggenberger—descended the entrance ladder and began struggling through the tunnel on elbows, stomach, and knees, pushing their packs ahead of them. The 178-foot journey took a little more than forty minutes. Guggenberger climbed the exit ladder and cautiously lifted the cover. A light rain was falling as he and his companion emerged into a clump of bushes and dashed down into the waist-deep ice-cold water of the nearby Crosscut Canal. By 2:30 a.m. all twenty-five prisoners—twelve officers and thirteen enlisted men—had exited the tunnel and were making their way through a hard rain outside the wire of Papago Park. Colleagues who stayed behind closed up both ends of the tunnel. The general plan was to head south and move only after dark, avoiding trains or buses. Many carried the names and addresses of countrymen or sympathizers in Mexico who might help them get back to Germany. All knew that the odds of actually reaching their homeland were extremely slim. But for now, in the early hours of Christmas Eve, they were free—embarking on an adventure that surely beat life in captivity. That night one team found a small dry stable and rested among comfortable bales of hay, celebrating Christmas Eve with a meal of roasted bread crumbs and canned milk, and listening as a Mexican family living nearby sang Christmas carols. Another team stumbled across a dilapidated shack and took up temporary residence; one of them had a harmonica, and he quietly played "Stille Nacht." Back in Papago Park, the first real opportunity for the American authorities to discover something amiss was Sunday's four o'clock head count. The German officers remaining in Compound 1A delayed it further by demanding that the count be conducted by an American officer, not a mere sergeant. "It is only proper that as German officers, we have respect and equal treatment," one insisted imperiously. It was about seven o'clock before Parshall was certain that a large group of prisoners was missing. He telephoned the FBI to report names and descriptions of the escapees. While he was still on that call, another phone rang. It was the sheriff in Phoenix reporting he had an escaped POW in custody. Herbert Fuchs, a twenty-two-year-old U-boat crewman, had quickly grown tired of being wet, cold, and hungry and had hitchhiked a ride to the sheriff's office. Soon thereafter, a Tempe woman called to say that two escapees had knocked on her door and surrendered; the phone rang again, and a Tempe man reported that two hungry and cold POWs had turned themselves in to him. One more call came that Christmas Eve from someone at the Tempe railroad station saying yet another escapee had been arrested. This was Helmut Gugger, a Swiss national who had been drafted into the German navy. Almost certainly under physical persuasion from the Americans, Gugger revealed the existence of the still-hidden tunnel the following day. With a half-dozen escapees already in custody, authorities launched what the Phoenix Gazette trumpeted as "the greatest manhunt in Arizona history." Soldiers, FBI agents, sheriff's deputies, police, border patrol, and customs agents all joined the search for the nineteen Germans still at large. Ranchers and Indian scouts, drawn by the $25 reward posted for the capture of each escapee, carried newspaper clippings bearing mug shots of their quarry. "We didn't think we were that important," Guggenberger remarked later. 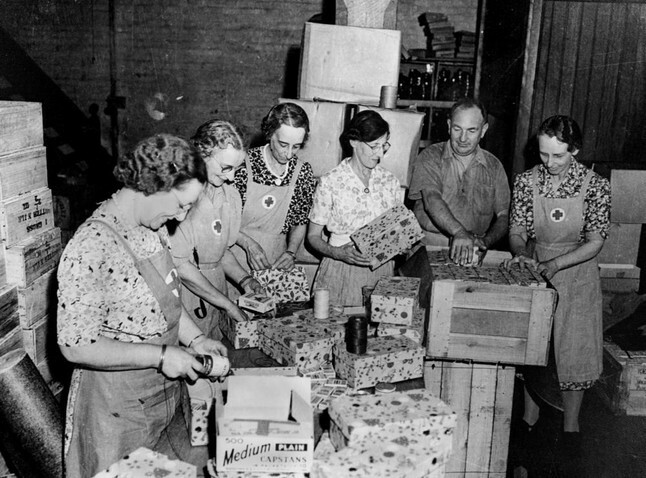 In any case, public reaction in Arizona soon focused less on any possible menace to law-abiding citizens than on outrage over all the provisions the newspapers reported found on the recaptured POWs, including rationed or otherwise hard-to-get items like cartons of cigarettes, packages of chocolate, coffee, sugar, and even ten pounds of pork fat. One Phoenix resident wrote the Arizona Republic: "Now isn't that a hell of a state of affairs when we, the tax-paying citizens, cannot get a single slice of bacon for weeks on end when we come home from working in a defense plant and then read in the papers that prisoners of war can get away with slabs of it?" After Christmas, most of the remaining nineteen prisoners hiked south each night as far as they could. Capture was a possibility at any moment, and they were also alert to very real physical danger. During the war, no fewer than fifty-six escaped German POWs were shot to death—the great majority by authorities but some at the hands of trigger-happy civilians. On January 1, 1945, a pair of escaped officers decided they could go no further. Captain Kraus and his second watch officer on U-199, Lt. Helmut Drescher, had been covering up to ten miles a night, but Drescher now had a swollen foot and hobbled along using a forked stick as a crutch. In the morning they approached an isolated ranch house and knocked. When a twelve-year-old boy trailed by two much younger siblings answered the door, Kraus explained who he and Drescher were and said that they wanted to surrender to local police. The boy said his parents were away but should be home soon. The Germans made themselves at home. They brewed coffee, shared their remaining chocolate with the children, and then regaled the kids with stories about life on a U-boat. When the parents came home around eleven that morning, they found everyone sitting in the kitchen. Their son hurriedly explained the situation. The father pulled from his pocket a folded sheet of the newspaper with mug shots of the escapees. He took out a pencil, looked at Kraus and then Drescher, and drew a big X through each of their pictures. That same day, a Papago Indian discovered another pair of prisoners as they were sleeping, less than thirty miles from the Mexican border. Four days later, bounty-hunting Papagos caught another pair asleep in the same area, and an army patrol from the POW camp at Florence nabbed three more. The following day, the two captains who had been first out the tunnel—Quaet-Faslem and Guggenberger—were awakened by a group of Indian scouts. "And Captain Quaet-Faslem," asked one of the scouts, "did you have a good sleep?" Quaet-Faslem was astonished to see that it was one of the same men who had captured him in Mexico eleven months earlier. With the capture of yet another pair of Germans two days later on January 8, only a half dozen POWs—two three-man teams—remained at large. For the next fortnight the whereabouts of the final trio of escapees remained a mystery. The team consisted of Capt. Jürgen Wattenberg and two of his crewmen from U-162, Walter Kozur and Johann Kremer. Wattenberg had been the senior ranking officer in the compound and quickly built a reputation as the leading troublemaker by submitting extensive lists of complaints about camp food, recreation, and anything else he could think of. The Papago Park commander referred to him as "the No. 1 Super-Nazi of this camp." After his escape, Wattenberg delayed heading south and explored the area. Kozur and Kremer even ventured into Phoenix one night, visiting a bowling alley and enjoying a few beers. 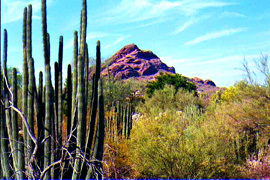 The trio holed up in a shallow cave on a slope in the mountains north of the camp almost within view of Papago Park. From there Kremer pulled off the most bizarre caper of the entire escape. Every few days he joined up with one of the work details sent outside Papago Park. He exchanged places with a friend who spent the night in the cave while Kremer sauntered back into the camp with the work detail. There, he gathered news and food. He would then either join a work detail to get out of camp, or send food out with a member of the detail and remain in the barracks. 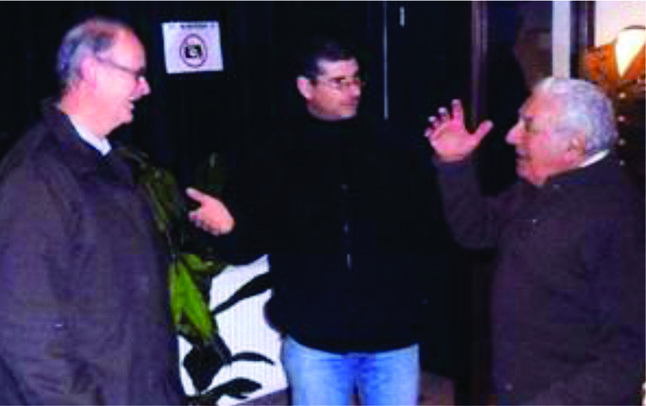 On January 23, a month after the escape, a surprise inspection revealed Kremer's presence in the camp. The following evening, Kozur left the cave and made his way down to an abandoned car where friends on work details stashed provisions for the trio. Instead of food he found three American GIs with rifles pointed at his head. Only Wattenberg was still at large. Four days later, on January 27, Wattenberg ate his last piece of food, shaved, put on a clean shirt, and hiked into Phoenix. He had seventy-five cents in his pocket, most of which he spent on a restaurant meal. He slept for a while in a chair in a hotel lobby and then, walking the streets during the night, asked for directions from the foreman of a street-cleaning crew. The foreman thought the accent suspicious and alerted a policeman. By nine that morning, Wattenberg was back at Papago Park. Their great escape was over except for the punishment, which turned out to be surprisingly light. Despite the egregious lapses in security, no American officer or guard was court-martialed. And though some of the escapees half-expected to be shot—rumor had it that Germany had executed American POWs in retaliation for the bombing of Dresden—they were merely put on bread and water for every day one of them had been absent from camp. Still, it had been worth it. Years later, Clarus said of the tunnel: "Conceiving of it, digging it, getting out, getting back, telling about our adventures, finding out what happened to the others…why, it covered a year or more and was our great recreation. It kept our spirits up even as Germany was being crushed and we worried about our parents and our families." This article was written by Ronald H. Bailey and originally published in the November 2007 issue of World War II Magazine. Fort Leonard Wood Chapel at Christmas time. to the Folks Back Home, November 30, 1944. PACKAGES THAT COME IN THE MAIL THIS TIME OF YEAR ARE OFTEN FULL OF EXCITEMENT FOR CHILDREN. Such was the case at my house recently as my eight year-old son received a package from Grandma. Once we got the box open, my son anxiously tore at the wrapping paper and found a special book with children and an airplane on the cover. 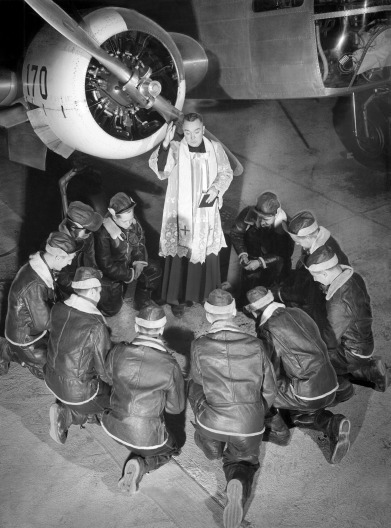 As we thumbed through Christmas from Heaven, we discovered it was a true story about a Mormon pilot during World War II. Little did we know how a small book would touch our hearts in such a big way. 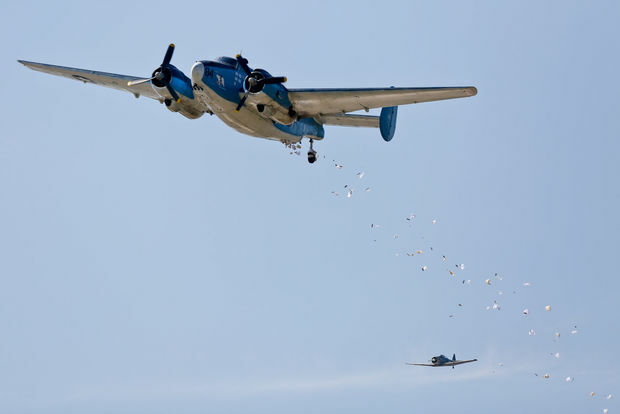 In 1948, three years after WWII, pilot Gail “Hal” Halvorsen took part in “Operation Vittles,” which was the United States’ and Britain’s effort to feed starving West Berliners by transporting food and other basic supplies by air. One day as Hal stood at the end of the Tempelhof runway taking movies of planes, he caught sight of a group of children watching him through a barbed wire fence. Wishing he could do more for the children, he got an idea. He would give the children his rations of gum and candy and ask his buddies to do the same. “I could drop candy from the air,” he said to himself. He told the children his plan and that they would recognize his plane when he wiggled his wings. This story was part of the Mormon Tabernacle Choir’s Christmas program in 2012 with Tom Brokaw as the narrator. The book came with this portion of the program on a DVD that we watched and read along as it told of this sweet act of love. In the book’s DVD, it showed the real ninety-two year-old Hal wearing his same flight suit and just as happy as he ever was. Following Operation Vittles, Hal went on to become the commander of the Tempel of Airbase in West Berlin. He spent thirty-one years in the US Air Force, mostly in research and development for the space program and became a Colonel. While he received many awards during his lifetime, over the past year, Hal had a secondary school in a Berlin suburb named in his honor. 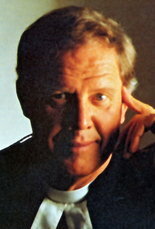 Following his Air Force career, he was the Assistant Dean of Student Life at Brigham Young University from 1978 to 1988. He married Alta Jolley in 1949, and they are the parents of five children, twenty-five grandchildren, and forty-one great-grandchildren. Besides having a family, he has held many church leadership positions, including bishop and stake president. He and wife Alta additionally served LDS missions to England, Russia, and Salt Lake City. This quote, echoed numerous times in the 94-year-old “Candy Bomber’s” retelling of how the original candy drop came to be, proved to be true at his most recent candy drop in Orem. repeated instructions by officials to move back. on Friday, July 3, 2015 at Scera Park in Orem. When Halvorsen dropped the candy from the belly of the plane, it was as if a dam broke loose. The children took off sprinting, despite instructions to wait until all the parachutes had landed. Halvorsen served as a transport pilot in World War II and became famous worldwide for the primary role he played in candy drops during the Berlin Airlift. According to Deb Jackson, co-chair of the Cries of Freedom event, more than 50,000 people braved the 100 degree temperatures to see one of Halvorsen’s historic drops. “It was absolutely everything we had hoped for,” Jackson said. Gregg Hardy, Colonial Heritage Foundation director said the crowds exceeded their expectations. “It seems this is more than a grand success,” he said. 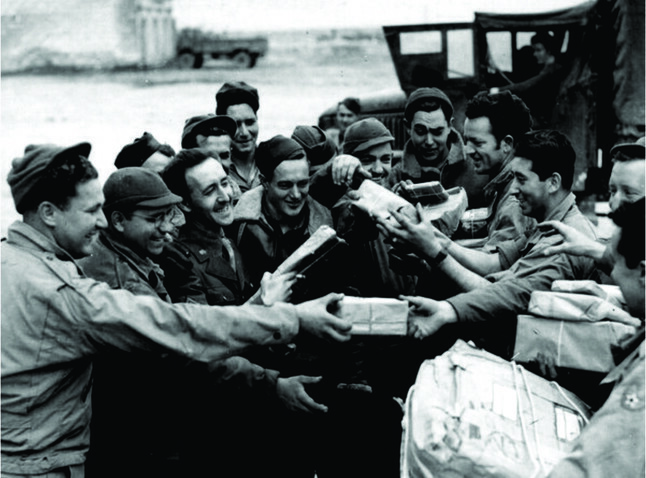 In addition to the 1,000 candy bars dropped from the plane, Jackson said an additional 2,000 candy bars, donated by Paul Swenson of Colonial Flag, were handed out on the ground by members of the American Legion. Nine-year-old Drew Reynolds, of Highland, was excited for the candy drop because she learned all about the Berlin Airlift and Halvorsen’s story in her third-grade class. “When he saw all the kids that were starving, he only had a piece of gum. He wished he could have more for the kids so he started dropping parachutes with candy,” she said. “I’m going to try and catch a candy bar!” she said, from the front of the crowd. Cindy Tenney, of Herriman, brought five of her children to the drop after hearing of the event at the Hill Aerospace Museum near Ogden, Utah. Her 9-year-old son Thomas said he was most excited to see the plane because he likes how they fly. For Orem resident Vachelle Johnson, this wasn’t her first candy drop. She was heavily involved in the preparation behind the 2008 drop at Noah Webster Academy. At that event, Halvorsen dropped 500 parachutes attached to candy, but because he didn’t have clearance from the Federal Aviation Administration, he had to drop it from 1,000 feet. Because of the wind, “We ended up with about 10 parachutes that we could retrieve,” said Johnson. Johnson said she returned for another candy drop with her daughter because they had such a good experience when they met him first-hand. “We love him. He’s an incredible man and we know he’s not going to be here forever,” Johnson said. “I just hope I can get a parachute,” said her 13-year-old daughter, Ashleigh. Halvorsen addressed a crowd earlier Friday morning at the Freedom Festival Naturalization Ceremony. He told stories of kindness and stressed the importance of service. “The Dead Sea is dead because it wraps its arms around all of the fresh water of the Jordan and gives out nothing. In your community there are Dead Sea souls who do the same,” he said. He concluded by speaking of the cost for freedom, which is not free. “God bless those who are in harm’s way today for the cause of freedom, wherever they are in this world, and God bless the United States of America,” he said. Halvorsen dropped the candy from the belly of a World War II PV-2 Harpoon bomber. A window was removed and replaced with a wooden box and funnel to distribute the candy. He was escorted by two planes, a T-6 Texan and Navy SNJ. one thousand candy bars over Scera Park on July 3, 2015. At least 20 police officers, from both the city and state level, were on hand to control the crowds for the drop, according to Jackson. State Street in Orem was closed from 400 to 800 South and parking lots were filled to capacity. Jackson added because of traffic, there were people still trying to pull in even as Halvorsen circled the field. for socks and a helmet," say Pvts. Kotula and Queen. Camp Lee, Virginia, Quartermaster Center. December 1941.
since before the Germans came. of the 2,000 that docked in England. THE FRIGID NIGHT AIR CUT THROUGH THE LIEUTENANT'S ARMY ISSUE COAT AS THEY STOPPED IN THE KNEE DEEP SNOW TO SURVEY THE PERMIMETER. A heavy snow continued to fall on this Christmas Eve 1944, but it was not a silent night. The flashes of artillery lit the sky and generated a rumble like distant thunder as the young officer finished his tour of the unit's outposts. He was an officer in Company B, 87th Chemical Mortar Battalion, the men who fired the big 4.2 mortars which were so critical to the effort of the infantry to advance. They were someplace in Belgium, he really had no clue where, and for the first time in a while the battalion was together again. All four companies had been brought in to help stop the German breakthrough. They didn't know it, but the 87th was about to be thrown right into the heart of the Battle of the Bulge. Everyone knew what that meant, American tankers were making a last ditch stand against the German armored column in the area. They were outnumbered and outgunned and their Sherman tanks stood no chance against the awesome German Tiger tanks, but they fought anyway. When the battle ended, and it would before dawn, then the 87th became part of the last American line of defense. The war hung in the balance, and so did the lives of everyone in the ancient house of God. It was later learned that this makeshift force of Americans had successfully stopped a major attack by German troops designed to capture a major highway intersection which would have broken the American line. No one has ever been able to tell me how they won. History recorded it as a classic situation where the attacking enemy held all of the advantages, yet was stopped by the cold determination of a hand full of defenders on the verge of physical and mental collapse. Somehow, they emerged victorious, with Company B reporting almost half of its men killed, wounded or missing. For his actions during the defense of Sadzot, the Lieutenant and the other men of the company received both the French and Belgium Croix de Guerre medals. I know the story of that lonely Christmas Eve and the ensuing days from my Father's diary. He was the young Lieutenant, Roy E. Connelly, Co. B. 87th Chemical Mortar Battalion. He would read that story to us on Christmas Eve every year until his death in 1987, and then I took over the job with my children. He never read it without crying over the friends he lost during that Christmas season of 1944, and to this day, I cannot read it or even write about it without the same reaction. What was done during that six day period by the men of Co. B and the other companies of the 87th, who also held the line, surpasses the ability of most of us to comprehend. They fought for each other, and they fought for us. We must never forget. WALT DISNEY DEEPLY INVESTED HIMSELF IN THE WAR by patriotically placing his studio at the disposal of Uncle Sam, producing films, shorts and features, home front posters and stunning military unit insignias. The full range of material created by the Disney studio during the war included ground-breaking training and educational films for the military and defense industries, propaganda and war-themed film shorts and features, home front poster art, and the stunning military unit insignia that provided those serving the in the armed forces with a morale-boosting reminder of home. 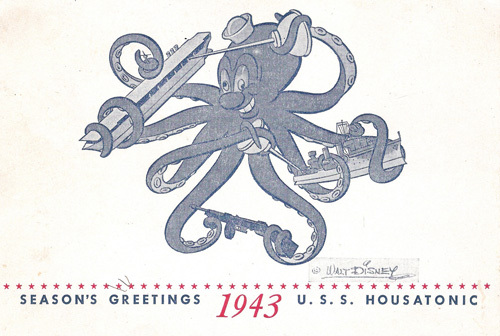 Disney even rendered Christmas card designs for sections of the military in an effort to bring "a taste of home" to those longing for a traditional home holiday. Christmas was often a depressing time of the year for men serving overseas. 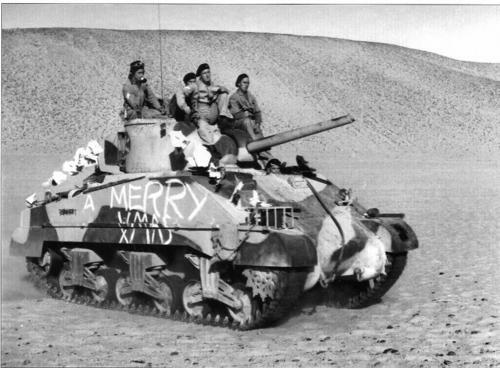 To help raise morale, many units created their own custom holiday greeting cards. Units with Disney-designed insignia often incorporated their insignia into the design of their cards. 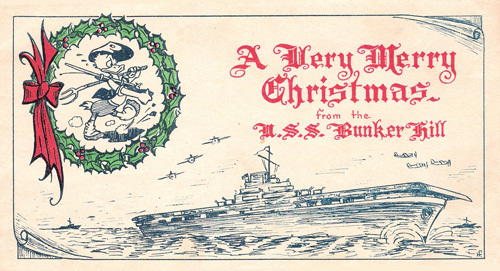 This particular postcard was sent out by men serving aboard the navy fleet oiler USS Housatanic (AO-35). This tanker saw action in both the Atlantic and South Pacific, where she delivered fuel oil for warships and high-octane gasoline for aircraft. 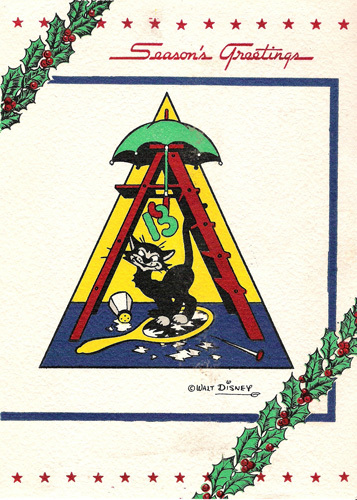 The cover of the 13th Armored Division’s greeting card featured the unit’s Disney-designed insignia, a collection of bad luck symbols. Men in this unit paid no attention to the superstitious overtones of their unit number. They felt it was the enemy who would suffer misfortune when encountering them. The USS Bunker Hill (CV-17) was an Essex-class aircraft carrier that saw extensive action in the South Pacific. Supporting the invasion of Okinawa, Bunker Hill was severely damaged when two Japanese kamikaze pilots successfully crashed into her. 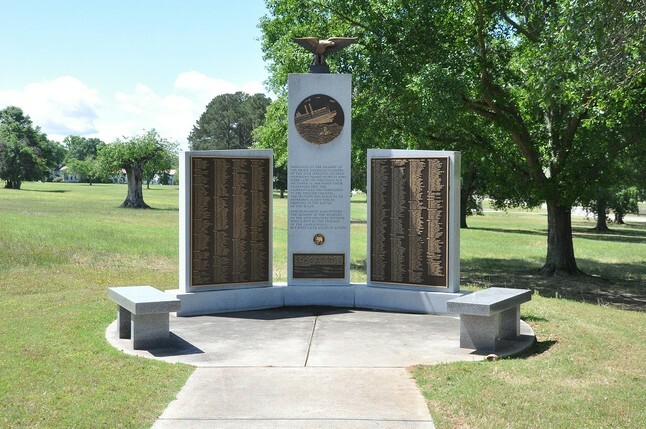 The resulting explosions killed more than 340 crewmen. In case that the Shambos quite soon would be there. Expecting not Santa but Japs on SoPac. Had settled himself for a tropical nap. The rats and the lizards were out on patrol. For Christmas Eve visits to every foxhole. No candy canes hung from the waving palm fronds. Instead were signs saying: "Have you bought war bonds?" Was dreaming sweet dreams of a blonde from the past. He sprang from his sack to see what was the matter. Fast loading his rifle while making the dash. "Poor Santa got stuck with the SoPac detail!" "It's H–Hour now, and we're hitting the beach!" Old Santa was standing right there on the shore. His clothing was G. I., of plain Forest Green. He looked like a very fat U. S. Marine. He'd slung on his shoulder a large lister bag. Bolo knives, flamethrowers, other such trifles. He felt it was time that St. Nick got the word. A Marine would prefer a cold bottle of beer. And really that stuff wouldn't make such a load. It'd still leave you room to bring pin-ups with zing. And a portable vic with the latest by Bing. A pinochle deck, a harmonica, too. The scoop on the folks back in Kalamazoo." "A lot of these items I'd gladly mark down. But what with priorities, red points and blue. Paper curtailments and shortages too. Marines must give up, as a pal to a pal. These things that maintain our civilian morale. Or, don't you guys know that we're fighting a war?" Then he sprang to his sleigh, to his team gave a whistle. "Merry Christmas, Marines, and to all a good–night." Jack Gingrich of Easton, Maryland, now 79, was a signalman on the USS Chikaskia, an oil tanker in the Pacific during World War II. 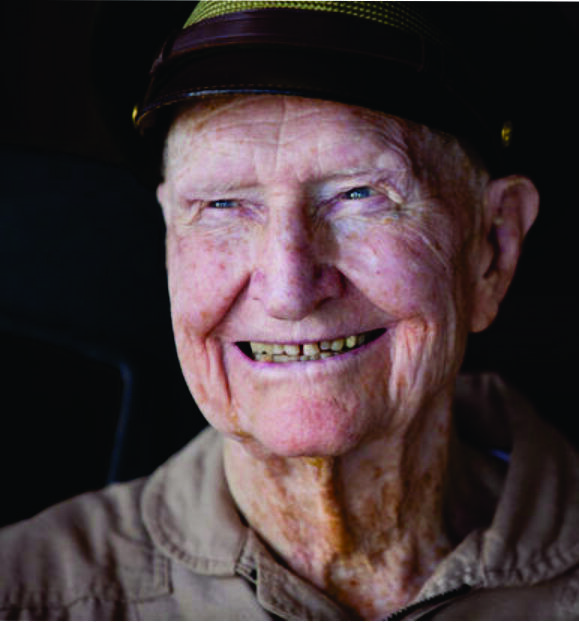 He served on the ship from its commissioning in 1942 through the end of the war. Gingrich says the officers on the Chikaskia made sure the holiday season was celebrated right. "We had Christmas dinner, on the deck," he remembers. "We always had religious services. We made a Christmas tree out of stuff the deck crew put together. We made do with what we had. We sang carols. I can’t remember if we had a chaplain, but we had religious services. I remember that." In combat especially, the situation often dictated minimal celebrations. 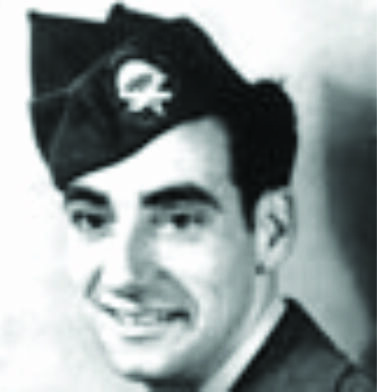 For example, on Guadalcanal at Christmas 1942, Les Groshong was serving with the 2nd Marine Division. 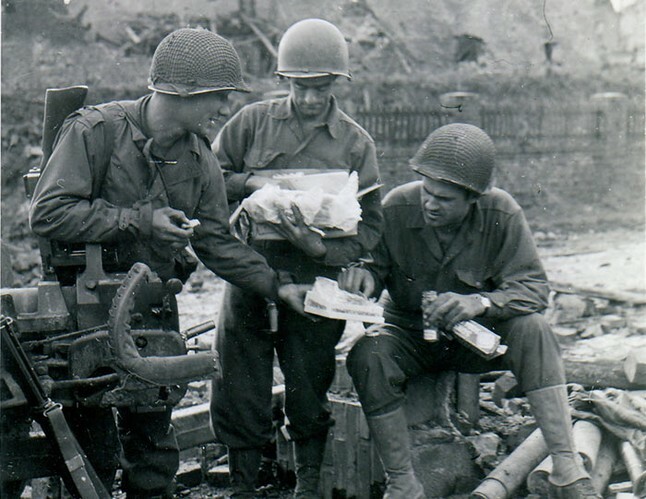 On Christmas day, each Marine in his outfit received a fresh orange and a warm can of beer to supplement their regular diet of C–rations. 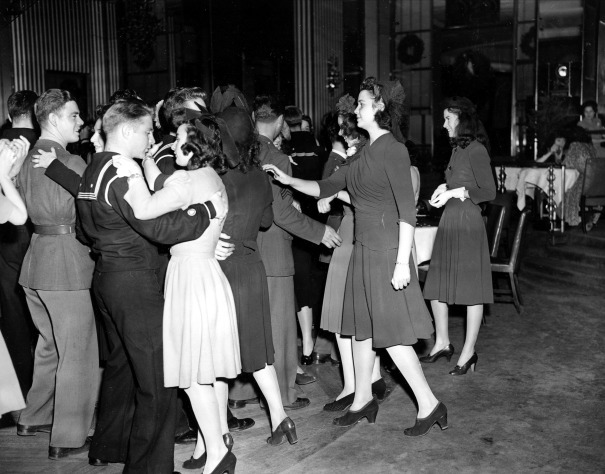 When they were in garrison, Marines often had duties to perform that kept them from holiday celebrations. 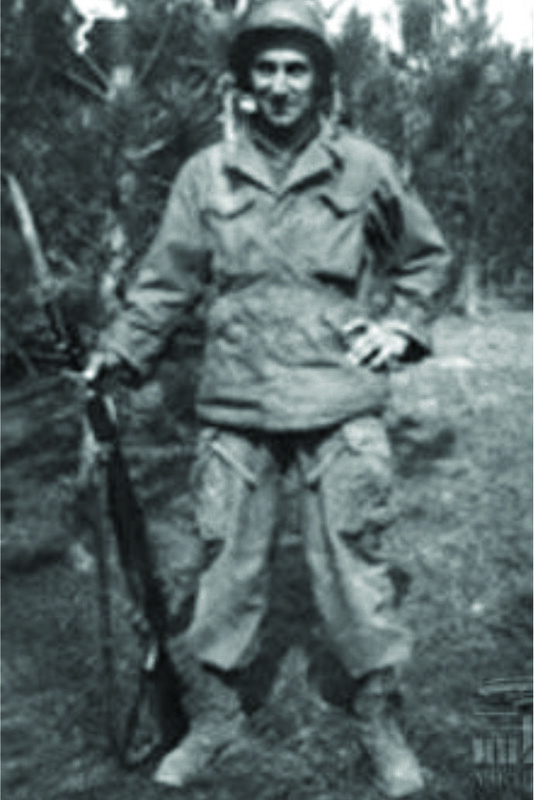 Paul Merriman served in the 5th MarDiv in 1944–45. He spent Christmas Eve 1944 at the Hilo, Hawaii docks loading rockets onto Higgins boats for transfer to a freighter in the harbor. He and five of his buddies worked through the night doing this. 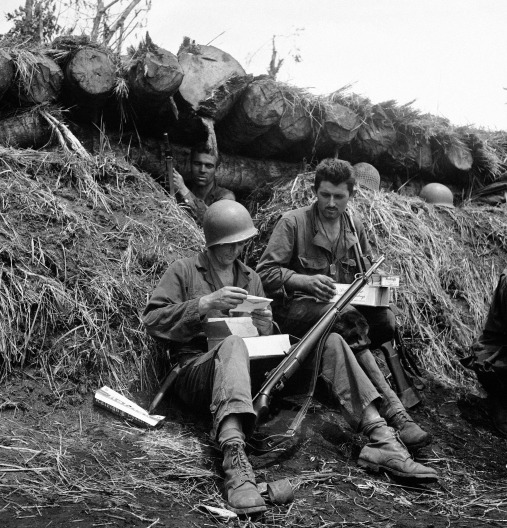 On Christmas morning, the Marines found an open bakery in Hilo, where they bought a coconut pie and cokes. Since then, Mr. Merriman has always loved coconut pie! ended . . . ."
Despite the hardships, or perhaps because of them, Christmas and the Festival of Lights became stronger. John Otto, 84, of Carlisle, Pennsylvania, was serving the 82nd Airborne in December 1944, when the Germans launched their last big offensive, later known as the Battle of the Bulge. "We were supposed to be getting ready to jump into Berlin," Otto remembers. "That was the big plan. We weren’t ready for the Battle of the Bulge. I was just out of the hospital, after getting shot up in Holland." As Christmas loomed, Otto, a company executive officer, says he wanted to get something special together for the guys under his command. "My guys didn’t have enough of anything, shoes, clothes, etc.," he says. "We had a medical guy," he continues. "Every morning he would run from a house we were in to a small barn, where there was a goat. "He would milk the goat into his helmet and then run back to the house. The Germans would shoot at him, but they never hit him. Our radio man was a baker and knew where to find some flour. Another fellow found some apples. I said I’d get the sugar. At the time, we were getting C rations. So, when the rations were being broken down at company headquarters, I took all the sugar from the rations. The guys squawked, but I blamed it all on battalion headquarters. "The baker got everything together and made apple pies. When they were ready, we took them out to all the strong points, to the machine gun crews, that sort of thing. It was their Christmas present. It worked real nice. I told them, ‘Here’s the damned sugar you were bitching about!’"
Christmas 1944 found Charles Owens and his buddies in A 1/7 on Pavuvu, home station for the 1st Marine Division in the Russell Islands. About that Christmas, he remembered: "I was one of the men in the company that made jungle juice. [We] made it in five gallon cans and buried it [by our] cots. The floor of out tent was coral making it easy to hide. 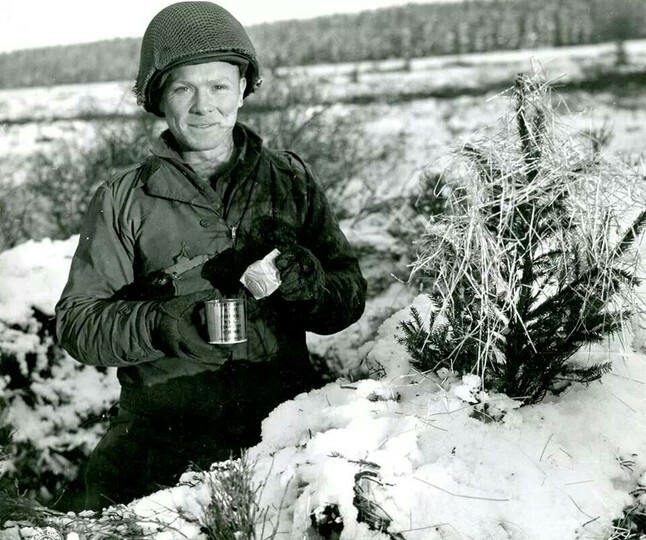 Our 1st Sgt Jim Owen always had to have the first canteen cup. On Christmas day 1944 I had a fresh batch made and that night I must have had two canteen cups to drink. One cup would put you on your rear. 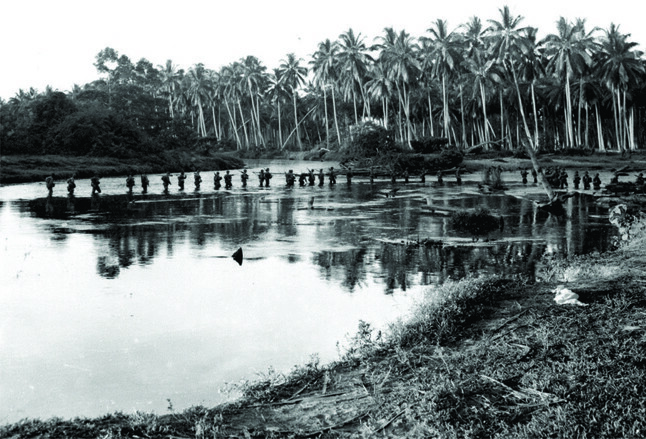 Across from [our company area] was a large coral pit used by the 1st Engineer Battalion to supply coral for the roads and living areas. Some clown dared me to bring a large [excavator] over from there to the company area. As soon as I started the machine, [engineers] started running to the pit to catch me. I ran back to the company area and my buddies hid me. It was a very merry Christmas in A 1/7. Born Dov-Ber Rosofsky on December 23, 1909, Barney Ross was a rabbi’s son who grew up on the mean streets of Chicago. Those mean streets left Barney’s father dead during a robbery of the Ross family’s small grocery store. Until then, Barney had planned on following in his father’s religious footsteps, but the boy’s rage instead led him into the boxing ring. As a boxer, Ross won the world championship at three different weight classes — lightweight, light welterweight, and welterweight — retiring before the age of 30 with 74 wins and only 4 losses. But it is after Barney Ross retired from the boxing ring where our Christmas story begins. When WWII began, Ross was 32 years old, past the age to be drafted. But Barney was a fighter and a proud American, so he enlisted in the Marines and chose combat over a cushy job training military boxers. Sent to the island of Guadalcanal — where he earned the Silver Star and Purple Heart while single-handedly fighting off two-dozen Japanese attackers over the course of a night, and saving the life of a comrade — Ross turned out to be the only able organist on Christmas Eve of 1942. The Marine chaplain, Father Frederic Gehring, asked Ross to be the accompanist for the evening service. Ross played Silent Night and other Christmas carols for his fellow Marines. When Father Gehring asked him for a Jewish song, Ross played My Yiddishe Momma, the song to which he had entered the ring throughout his boxing career. Ross’ fellow Marines remembered the words and sang along, many of them in tears, in what must have been one of the most interesting Christmas Eve services in history. Code Name: The RAF called it “Operation Manna.” To the Yanks it was “Operation Chowhound.” Specifically, it was a low-level flying operation. RAF bomber command flew 3,358 sorties. 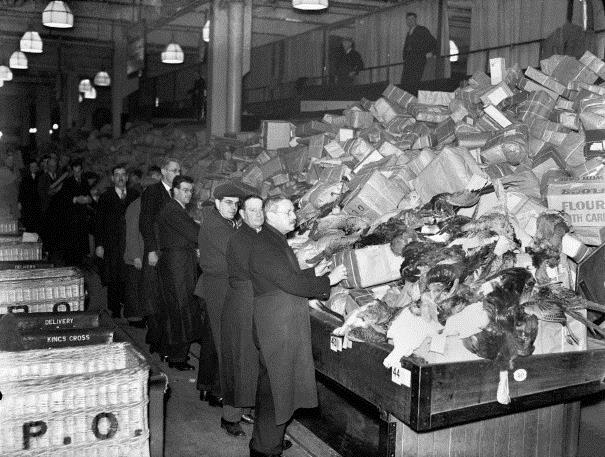 The American 3rd Division alone logged 2,268 food drops — 24 million pounds in all. Think of that: 24 million pounds. 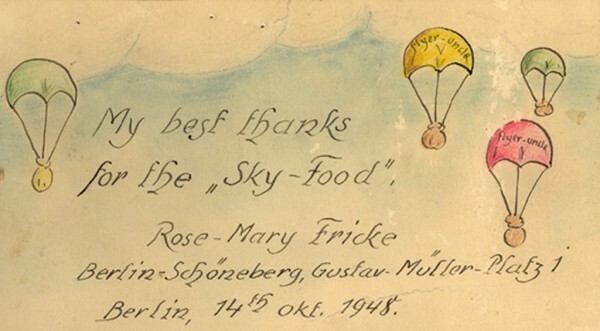 Day after day, American B-17 Flying Fortresses, B-24 Liberators, and British Lancaster bombers opened their doors and from their bellies, fell thousands and thousands of crates of food — life-sustaining food: Canned goods, rice, flour, bread, beans. You name it; they dropped it. It saved an entire nation. What was it like for the flight crew? Flight Lt. R.E. Wannop, RAF, describes it best: “We crossed the Dutch coast at 2,000 feet and came down to 500 . . . children ran out of school waving excitedly . . . the roads were crowded with hundreds of people waving . . . .
Five years ago, I visited the RAF Museum in Hendon, England. One of the most poignant displays is the moving tribute paid by the Dutch people to the brave effort of the Allied food supply. It was an effort made by six nations — Britain, the United States, Canada, New Zealand, Poland, and Australia — a moment of kindness and light during a time of world darkness. How did the participants feel? Tom Williams served with the 5th Marine Division in 1944–45. 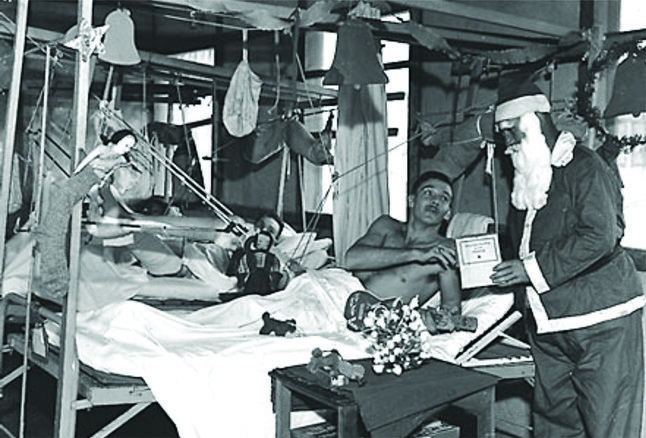 Christmas 1944 found him at Camp Tarawa in Hawaii. This was his first holiday season away from his family in Southern California. He remembered, "Camp Tarawa was a lonely place that year. We didn't know what was going to happen to us and we were thinking a lot about our families." "The day before Christmas was a cloudy day about 20 degrees Fahrenheit the camps glee club and string orchestra presented a program of Christmas carols and excerpts from "Handel's Messiah." At midnight the Catholic’s were permitted to have mass and the Protestant’s had their Christmas service at noon on Christmas day. During the evening one of our roommates played an accordion that we got from somewhere and we sang a few of the old favorite songs. It looked to us like Christmas would be just another day. Christmas Day in Kriegeland* a cold and cloudy day. Roll call was a little later today. For breakfast we had Vienna sausage and fried potatoes. At 2:00 we had Protestant service. It was a short service of prayers and Christmas carols. This afternoon I cooked a soup using some of the tomato juice from my last parcel, a bouillon cube, dehydrated meat and rice and noodle soup mix. It was really quite good. The Christmas evening meal put the Thanksgiving meal in the back seat. The menu was as follows: Turkey (very good), mashed potatoes and Pate gravy, boiled carrots, chocolate pie and coffee. In addition to this the band put on a program, Chuck Wiest sang three songs and really did a good job, they had a Santa Claus and all. It was a climax to a rather sad and lonesome Christmas Day. As usual we had the Red Cross and the YMCA to thank for our pleasure." * Kriegie is what the POWs called themselves; hence, Kriegeland. It is short for Kriegesgefangenen which is the German word for prisoner of war. "My most memorable moment was Christmas Eve. As my buddies brooded about home and families, I began playing "Silent Night” on the violin I’d carved from roughhewn bed slats. As the notes drifted through the barracks a voice chimed in, then others. Amid the harmony I heard a different language. "Stille Nacht, Heilige Nacht, alles schläft, Einsam wacht . . . " An elderly white-haired guard stood in the shadows, his eyes wet with tears." "We awoke on Christmas morning for "appell" (roll call) on a bitter cold day. After counting the Kriegies, Major Steinhauer turned us over for dismissal. It was then we witnessed the payment of the debt by the man who had wagered the war would be over by Christmas. In September 1944, Stark had said to Johnson, "I'll kiss your a** if the war isn't over by Christmas." Stepping out before 1,500 Kriegies, Second Lt. Stanley M. Johnson of Port Allegany, Penn., lowered his pants and leaned over. Second Lt. Richard D. Stark of Tampa, Fla., came forward with a bucket of hot water and a towel. After washing Johnson's rear end, he folded the towel, placed it over the crack and gave the "cheek" a good kiss. Fifteen hundred men let out with a cheering and clapping that could be heard in all the other compounds. The German Major Steinhauer stood there with his guards, shaking his head in amazement, not believing what he had witnessed. We were then dismissed." As Christmas was near, our room, headed by Charles “Mole” Wilson decided on a plan. 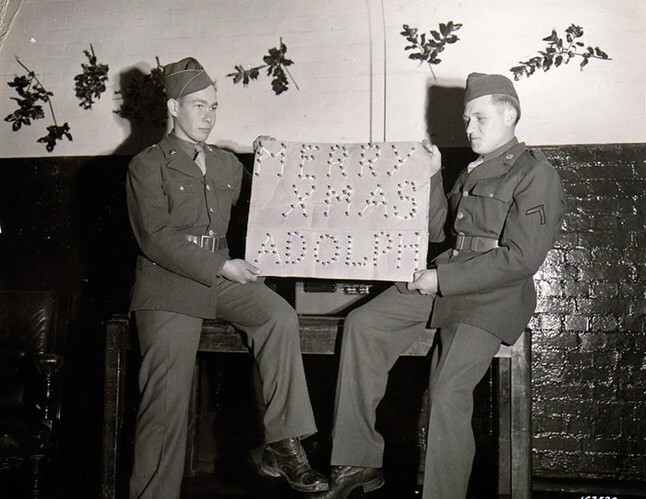 With material furnished from the YMCA, we cut letters from paper and on Christmas morning at roll call, we took the first row of the barracks waiting to be counted, and at a signal the letters were flashed in front of each Kriegie. As the Jerries and the other eight barracks looked on, the front row spelled “MERRY CHRISTMAS, ROOM 6” much to the delight of all. "Christmas was different from the yuletide at home. Here in the country where many of our Christmas customs originated seemed very little like Christmas. You soon discover that it is family and friends and the joy of giving that make Christmas worthwhile. We tried hard. We had the room decorated and a small tree but the spirit of the season was not present. The Red Cross provided a special parcel for the season, and we did have a fine meal. "The religious activities of our compound were in charge of Padre Clark. He had our services every Sunday afternoon. On Christmas there was a special carol service. "Cards were the most popular from of individual entertainment. The decks of playing cards in the Christmas parcels were a most welcome addition to our stock." Their Special Bullet Christmas Card for "Dear Adolph"
Once in a while, you hear an old war story that restores your faith in humanity. Usually it involves a moment of quiet in the midst of chaos; some singing or the sharing of a few condiments. But how many of them take place in midair? This is the remarkable story of a crippled American bomber spared by a German fighter pilot. After the two planes' pilots had a mid-air moment of understanding, it didn't seem likely that they'd ever see one another again. Only they did, and became closer than brothers. IT WAS A FEW DAYS BEFORE CHRISTMAS IN 1943, and the Allied bombing campaign in Germany was going at full tilt. Second Lieutenant Charlie Brown was a freshly minted bomber pilot, and he and his crew were about to embark upon their first mission — to hit an aircraft factory in northern Germany. Brown's B-17F Flying Fortress, dubbed Ye Olde Pub, was typical of American heavy bombers of the time. Along with an 8,000-pound bomb capacity, the four-engine plane was armed with 11 machine guns and strategically placed armor plating. B-17s cruised at about 27,000 feet, but weren't pressurized. At that altitude, the air is thin and cold — 60 degrees below zero. Pilots and crew relied upon an onboard oxygen system and really warm flight suits with heated shoes. As Ye Old Pub approached Bremen, Germany, German anti-aircraft batteries opened up on the formation. Unfortunately for the pilots and crew of Ye Olde Pub, one of the anti-aircraft rounds exploded right in front of their plane, destroying the number two engine and damaging number four. Missing one engine and with another throttled back due to damage, Ye Olde Pub could no longer keep up with the formation. B-17s were known for being able to soak up a lot of bullets and anti-aircraft flak and still make it home, but that came at a cost. The armor plating protecting crew and vital areas of the plane was heavy and affected cruise speed. Although armed with a number of heavy machine gun turrets, there were still areas of the aircraft that were vulnerable to attack by enemy fighter planes. 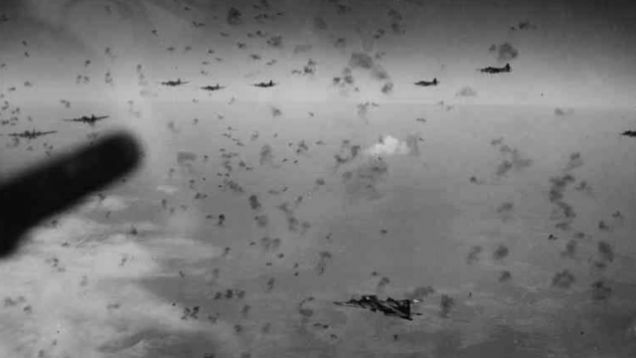 The U.S. Army Air Corps addressed this problem by placing many planes in staggered formation that allowed bombs to be dropped while multiple planes could cover the defensive gaps of other planes in the formation with overlapping fields of fire. The drawback to this arrangement was that individual planes couldn't take evasive maneuvers (they'd risk damage from friendly bombs or machine gun fire), and stragglers were completely open to attack by enemy aircraft. Think about a small group of quick, agile cowboys chasing a herd of buffalo. They're both dangerous to one another, but if one lumbering buffalo leaves the safety of the group, there's not much hope for it. Things went from bad to worse for Brown and his crew. Falling behind the formation, Ye Olde Pub weathered merciless attacks from 15 German fighters. The bomber's machine guns got one of them, but the damage they sustained was immense. 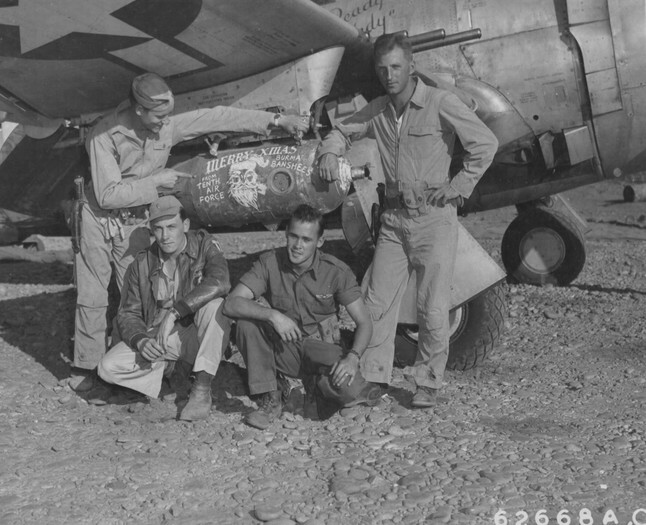 The tail gunner was killed and four were injured, including Brown, who caught a bullet fragment in his right shoulder. The only defensive guns left in service were the top turret and the nose gun, and the bomber's hydraulics and oxygen systems had also been knocked out. The plane went into a spiral, plummeting earthward. What happened next is according to the memory of Brown, who told interviewers years later that his mind was a bit hazy at the time; his shoulder was bleeding and he needed oxygen. I either spiraled or spun and came out of the spin just above the ground. My only conscience memory was of dodging trees but I had nightmares for years and years about dodging buildings and then trees. I think the Germans thought that we had spun in and crashed. Ye Olde Pub was spared further harassment by enemy fighters. Somehow, he and the co-pilot managed to get the plane flying level again at about 1,000 feet of elevation. On the way out to the sea, Ye Olde Pub passed a German airfield. Lt. Franz Stigler, a Luftwaffe fighter pilot just in from shooting down two B-17s, saw Ye Olde Pub limp by. Naturally, he scrambled to give chase. But what he saw arrested any aggression he may have had. As he told interviewers in 1991, he was aghast at the amount of damage the bomber had sustained. Its nose cone was missing, it had several gaping holes in the fuselage. He could see crew members giving first aid to the wounded, and most of the plane's guns hung limp, unmanned as they were. I saw his gunner lying in the back profusely bleeding….. so, I couldn't shoot. I tried to get him to land in Germany and he didn't react at all. So, I figured, well, turn him to Sweden, because his airplane was so shot up; I never saw anything flying so shot up. Stigler kept his distance, always staying out of the line of fire of the two guns still in service, but managed to fly within 20 feet of the bullet riddled B-17. He tried to contact Brown with hand signals. His message was simple: Land your plane in Germany and surrender or fly to Sweden. That heap will never make it back to England. A bewildered Brown stared back through his side window, not believing what he was seeing. He had already counted himself as a casualty numerous times. But this strange German pilot kept gesturing at him. There was no way he was going to land the plane, but the pilot stayed with him, keeping other attackers off until they reached the North Sea. When it was clear that Brown wasn't staying in Germany, Stigler saluted, peeled off, and flew out of Ye Olde Pub's nightmarish day. When Franz tried to get me to surrender, my mind just wouldn't accept that. It wasn't chivalry;, it wasn't bravery; it was probably stupidity. My mind just didn't function in a clear manner. So his choice then was to kill us or try to get us to go to Sweden, since we wouldn't land. The bomber made it back to England, scarcely able to keep 250 feet between itself and the ground by the time it landed in a smoking pile of exhausted men and shredded aluminum. Years later, Brown would say that if Stigler had been able to talk to him, offering the land in Germany or fly to Sweden ultimatum, he probably would have gone to Sweden. But Ye Olde Pub did make it, and Brown got a much needed stiff drink handed to him when he got off the plane. The incredulous debriefing officer, wowed by Brown's story, went off to tell the brass what had happened. He recommended Brown's crew for citation, but the glory was short-lived. Brass quickly decided that word getting out about a chivalrous German fighter pilot could endanger the lives of other crews if it caused them to let their guard down. All details of Ye Olde Pub's first mission were classified Secret. Stigler was never able to speak of his actions that day, as it would have meant certain court martial. He flew many more missions, though, becoming one of the world's first fighter jet pilots. By the war's end, he was one of only about 1,300 surviving Luftwaffe pilots. Some 28,000 had served. After the war, Charlie Brown returned home to West Virginia and went to college, returning to the Air Force in 1949 and serving until 1965. Later, as a State Department Foreign Service Officer, he made numerous trips to Laos and Vietnam. But in 1972, he hung up his government service hat and moved to Miami to become an inventor. Stigler finished the war amidst ruin. Anti-Third Reich post-war authorities in Germany were unimpressed with his exemplary service record, and the economy was wrecked. He subsisted on food stamps and work as a bricklayer's helper for a while, but moved to Canada in 1953. There, he enjoyed success as a businessman. Many years went by without either man ever thinking much about what had happened on that day in 1943. But in 1986, then retired Colonel Charlie Brown was asked to speak at a big combat pilot reunion event called Gathering of the Eagles. Someone asked him if he had any memorable missions during World War II. Brown thought a minute, then dredged up the story of Stigler's salute which had been buried somewhere in the dirty corners of his mind for decades. Jaws dropped. Brown knew he would have to try to find the man who had spared his life. After four years of searching vainly for U.S. and West German Air Force records that might shed some light on who the pilot was, Brown hadn't come up with much. So he wrote a letter in a combat pilot association newsletter. A few months later, Brown received a letter from Canada. 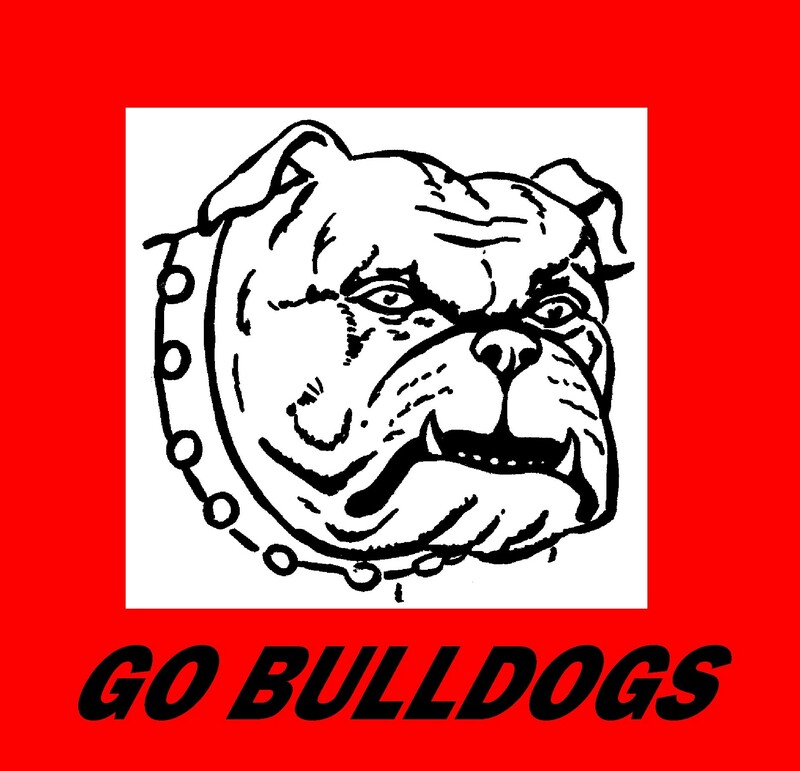 It was from Stigler. "I was the one," it said. Wings of the North Air Show in July, 2004. Left to right: Franz Stigler, Artist Jamie Iverson, and Charlie Brown. When they spoke on the phone, Stigler described his plane, the salute; everything Brown needed to hear to know it wasn't a hoax. From 1990 to 2008, Charlie Brown and Franz Stigler became like brothers. Introduced by the bond of that first powerful meeting, their friendship was cemented over the years. The two men remained close throughout the rest of their lives, dying within several months of each other in 2008. There are so many parts of that beautiful story that could have turned out differently. In any event, Stigler probably wouldn't have shot Brown's crippled plane. He was a veteran pilot with an iron sense of right and wrong; a man who would never kick another while he's down. But what if Stigler had been executed for his disloyalty? What if Brown had landed in Germany or hadn't made it across the North Sea? What if Stigler had stayed in Germany and never learned how to speak English? Yes, things could have been different, but that chance encounter in 1943 was destined to become a chance encounter again in 1990. But more importantly, it's proof to the rest of us that something great done now can change your life much, much later. Adam Makos just wrote a book about the Brown-Stigler rendezvous — A Higher Call: An Incredible True Story of Combat and Chivalry in the War-torn Skies of World War II — which goes into much greater detail about the two men behind an amazing occurrence. 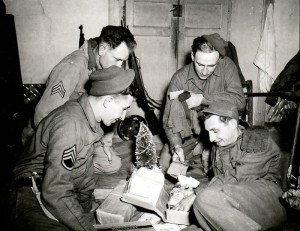 Christmas Bundles from America for Soldiers with a Field Artillery Unit in Germany. Cpl. T.J. Barnewski; and Pfc. J. Stoll. PRIVATE VINCE SPERANZA WAS TAKING A BREATHER FROM HIS TRAINING WITH THE 87th INFANTRY DIVISION IN LATE 1943 when his life changed. He and his fellow grunts were ordered to take their seats on a grassy bank for a demonstration. 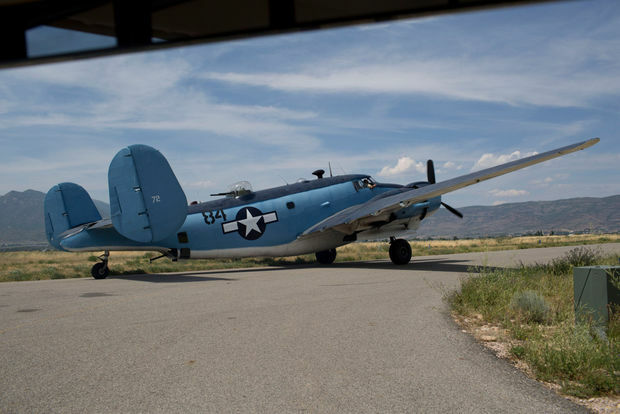 "All of a sudden, three C-47s come zooming over the sky, and when they get out where we can see them, the doors open and parachute after parachute. Here these guys come vrooming on down . . . brilliant, shining boots, silver wings, pants bloused into those jump boots, and, oh, those jaunty caps." Soon, an officer stood in front of the men from the 87th. "We're taking recruits for the parachute troops," he explained. "We're looking for a few good men. And, there's fifty dollars extra a month jump pay." For Vince, that was the clincher - a chance to fight with the best and extra pay to boot. Speranza arrived in Europe too late to jump into Normandy and also missed Operation Market Garden. 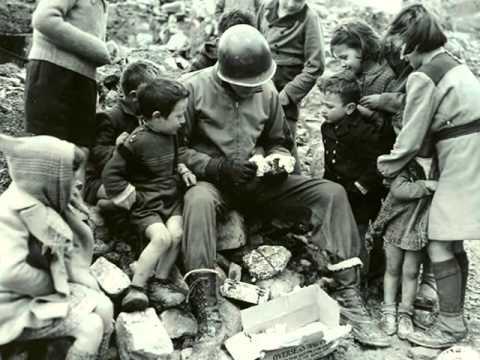 He got to France in November 1944 and was assigned to the 501st Parachute Infantry Regiment, part of the fabled 101st Airborne Division, just in time for the Battle of the Bulge. On December 17, General Eisenhower sent them to Belgium and the important crossroad town of Bastogne -- hopefully to blunt the massive German offensive. By December 20, the Screaming Eagles had been cut off by rapidly advancing Panzer units. There they stayed - outnumbered and outgunned by seven enemy divisions - resisting repeated and [subjected to] deadly attacks. They held out against all odds. And, because they did, the German offensive failed. Speranza was only 19 at the time, but combat has a way of aging a man very quickly. He was also wiry and fleet of foot, so his commander often sent him into the ruins of Bastogne to carry messages to headquarters. On one of those trips, Vince saw a destitute family huddled on the sidewalk outside their bombed-out home, tears streaming down one man's face. Vince discovered the man was a Dr. Govaerts, and with him were his wife, another couple and, the doctor's 12-year-old daughter, Ann-Marie. 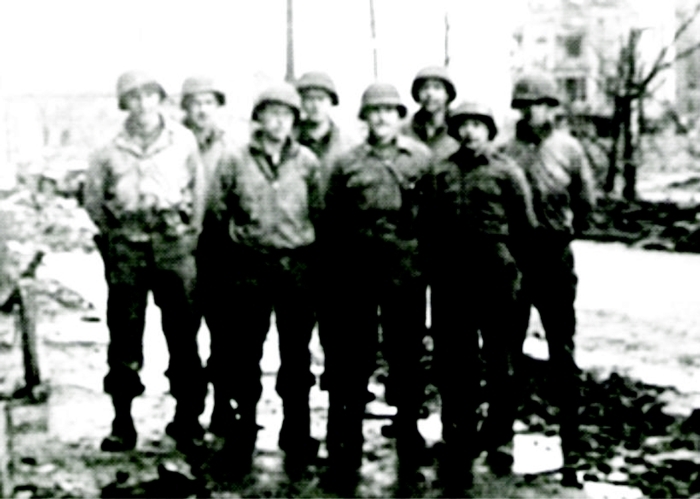 Vince knew he couldn't leave them there -- Bastogne was still under artillery attack. He convinced them to move into the cellar and helped move debris around to create a makeshift shelter. He gave each man a cigarette and to Ann-Marie, the soldier's prized chocolate rationa D-Bar. Vince returned when he could over the next few days and brought them K-rations, a can of beans, and some carrots he had scrounged. On Christmas, he came bearing gifts, such as they were. For the men, he had two packets of cigarettes wrapped in yellow parachute cloth. The ladies received beaded bracelets he had rummaged out of a bombed-out store, and Ann-Marie got a coloring book and crayons. It seemed like such a little thing at the time, but Vince knew he had to do something for them. After the Battle of the Bulge, the cruel imperatives of combat and the struggle to survive pushed the meager Christmas gifts out of his mind. Vince finished the war near Berchtesgaden, the site of Adolf Hitler's favorite retreat, the Eagle's Nest. After the war, he returned to his home on Staten Island, where he became a history teacher, making a point of teaching his students about the war. And with each passing year, his memories of the Govaerts family slipped further away. He returned to Bastogne in December 2011 and was speaking to a group of visitors at the town's museum when a man approached him. "Are you Vincent," the man asked. "Are you Vincent, who was here in Bastogne during the war," he asked again, tears filling up his eyes. "I'm Dr. Govaerts," he said. And with that, the two men embraced. The man, Vince discovered, was the son of the Govaert's couple he had helped some 67 years earlier. "Before Dad died," explained the son, "he gave me a blue bag. 'You must find Vincent, and thank him.'" Then he dug into the bag and handed Vince a piece of yellow parachute cloth. Written on it were the words "Merry Christmas, from Vincent." Vince was overcome with emotion. The memory of that destitute family and his Christmas gift was restored. The circle was complete. Vince Speranza now calls Auburn, Illinois his home. Mark DePue is the Director of Oral History at the Abraham Lincoln Presidential Library. Residents can listen to Vince's entire story, and those of many other veterans, at the oral history section of the library's web site: bitly.com/Tx9DPG. NOTE: After 55 years, 29 Canadian veterans, who took part at the battle for the freedom of Ortona in 1943, and 6 of their German enemies, who tried to hold it in one of the toughest battles of the Mediterranean campaign, met in the rebuilt Santa Maria di Costantinopoli church for a reconciliation Christmas Eve mass and dinner. directly in the center of the squad room. "Santa will stumble into this, so he can't miss our socks." Camp Lee, Virginia, Quartermaster Replacement Center. December, 1941. (such as candy, cookies, and warm socks), some were perplexing, such as neckties and cologne. 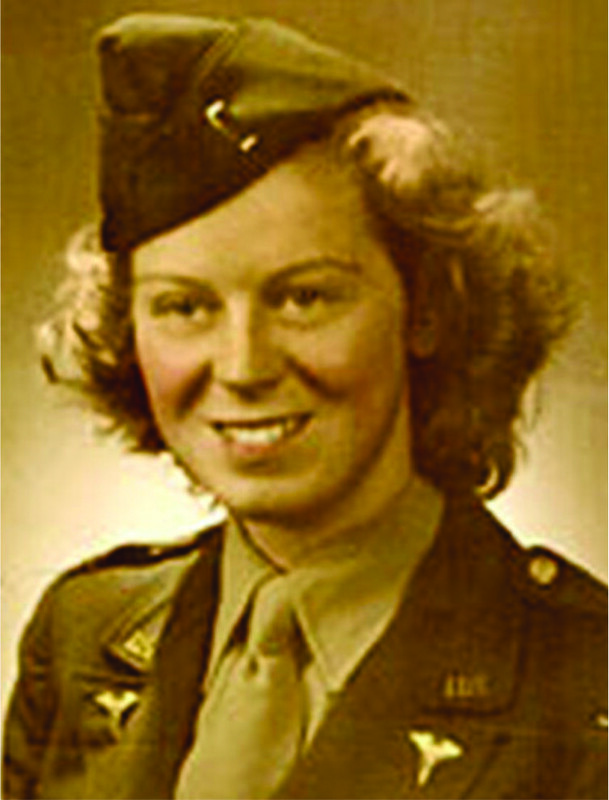 As she arrived at Normandy's Utah Beach, Katherine Flynn Nolan jumped from her landing craft into the water — and nearly drowned. It was July 1944, a month after D-Day and the water off the French coast was deeper than the 5-foot-3 Army nurse was expecting. Her backpack was so heavy it was pulling her down. A tall fellow nurse reached over and lifted Nolan's backpack, holding it until they reached shallow water. Nolan and 17 other nurses made it to land and quickly went to work, traveling with troops and setting up mobile field hospitals. The following is an article by Kate Nolan, first published in the Bulge Bugle, a journal of the Veterans of the Battle of the Bulge. THE THIRD PLATOON OF THE 53rd FIELD HOSPITAL ARRIVED IN A SMALL VILLAGE IN HOLLAND not far from the German border. It was early November 1944, and bitter cold. A few women and children and one old man stood staring at us as we huddled under khaki blankets in the back of the truck. "I can imagine what they are thinking of us. We are really a mess," said Marie, our platoon chief nurse. "We sure are. What I wouldn't give for a hot shower," said Laura, "And a hot meal." "The cooks should have the field kitchen set up tomorrow but hot showers? Who are you kidding?" I said. Then the trucks began to move again. We were on the main street passing houses and stores and finally a church. Then we turned into a schoolyard and stopped. An old priest stood on the steps of the school, a threadbare black coat over his cassock. Our commander approached him. They spoke for a few minutes and shook hands. Turning around to face us the colonel shouted, "We'll set up in the school." Our long journey had begun at five o'clock that morning. From somewhere in Belgium the convoy had bumped along pot-holed dirt roads and some paved ones also in bad shape, hour after hour with frequent delays. If we got to a checkpoint ahead of schedule, it would be a wait there while another convoy with higher priority went through first. We had K-rations all day. Cold, tasteless cans — something that was called scrambled eggs and meat and those dog biscuits they called crackers. Some powder to mix with water in the mess kit tin cup. Lemonade it was called. Meanwhile the temperature kept dropping and it looked like snow. The tarp covering the top of the truck gave a little protection from the wind but that was all. We were dirty, weary and chilled to the point of numbness. The school was a newly built red brick one-story structure with four wings. After living and working in tents since landing on Utah Beach in Normandy, we were delighted to be moving indoors at last. When the desks and chairs were removed it made an excellent hospital. Quickly the cots were set up, I.V. paraphernalia in place; receiving, shock wards, post-op and surgery made ready just in time to care for the first casualties. For the next fourteen hours there was no let-up. From time to time we caught glimpses of nuns peeking in the rooms as we worked. They were surprised to see us nursing the patients. They, like the villagers, had taken the six of us for prostitutes since we wore the same uniforms as the male officers including the pants, and these were what the camp followers wore. A company of the 84th Division (Railsplitters) was pinned down at a railroad bed and taking heavy losses. Ambulances kept arriving with more and more until every cot and litter was taken. An invitation was soon extended through the priest who spoke English. The nuns wanted the nurses to move in with them in the convent. Several hours later two of us managed to get off duty to go over and see our room. The nuns had prepared a large storeroom as our dormitory. Six of their beds were ready for our use. The nuns and twenty-eight war orphans in their care slept in the basement. They at first expected us to join them there, but at this point we were ready to die in our beds if need be in comfort. To sleep in a real bed under a roof was such luxury that we felt spoiled and pampered. The doctors and corpsmen teased us about it and wanted us to ask Mother Superior when their turn would be. She spoke a little English and when she finally understood she said they were welcome to come one at a time for a hot bath. Now in order to have hot water for the tub a lot of work was involved. Wood had to be gathered from the woods, broken or cut up with an axe to fit into a small furnace built under the water tank behind the tub. I still think about all this sometimes when I turn on a hot water faucet and wonder whether the nuns at our favorite convent still heat water in the same way. Usually the hospital remained in one place about ten days. 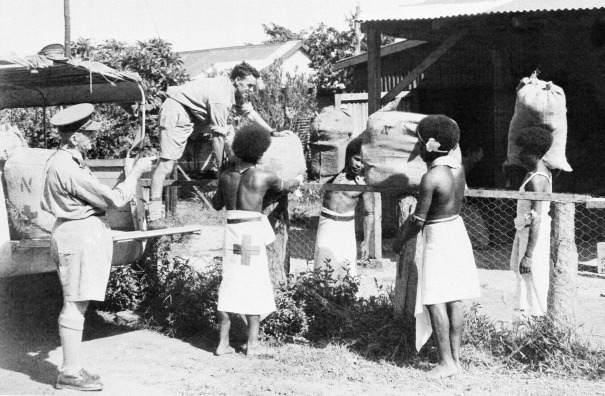 Then the patients would be evacuated to a general hospital in the rear, or to an evacuation hospital for an airlift to a general hospital in England. The packing up of equipment and supplies, taking down of tents, getting our personal gear in order went swiftly and smoothly by this time, since we had done it over and over till it was routine. When the outfit we had supported went back for a rest period we would be reassigned to a new outfit, just going into action. However, this didn't happen with the 84th. As Christmas approached things quieted down on the fighting front. As the days passed the orders to evacuate patients did not come. Tubes were removed, I.V. 's discontinued, and for the first time we had convalescent men taking food by mouth, growing stronger and getting into the holiday spirit. There were still a few in serious condition, but they did not want to be moved to a quieter area. Perhaps they felt more secure surrounded by their buddies. I don't know. Whatever the reason, it worked, because every one of them made it. A young Dutchman began to visit the hospital each day. He spoke English and soon was helping out in the wards. He finally moved in. An excellent organist, he would play the school organ, moving it from room to room, playing requests and Christmas carols till the atmosphere was really jolly. Leo, our Dutch friend, went out to the woods to cut down little Christmas trees for the wards. The patients made silver stars from K-ration cans. The Red Cross gave out cartons of Life Savers. We used bandages to string them to add to the trees. Everyone had the Christmas Spirit. Meanwhile, the nuns were planning a Christmas treat for the nurses off duty. They baked some special Christmas pastry from ingredients our cooks scrounged up for them. They brewed herb tea from roots of some sort. The feast would follow three Christmas Masses in the convent chapel starting at midnight Christmas Eve. On the 23rd of December orders came in for us to evacuate all patients. Wrapping them up warmly for their trip to a general hospital, much good-natured kidding went on. We had grown close to them all and it was like saying goodbye to family. Several of them were from New York State as were three of our nurses, Laura Ball, from Syracuse, Marie Arsenault, from Schuylerville, and Virginia Stenson, from Brooklyn. They were getting all kinds of promises about visits when the war was over so we pretended to feel slighted till we got assurances of the same. This would mean a trip to Worcester, Massachusetts, to see me, Katherine Flynn; to Memphis, Tennessee, for Ruth Nolen; and to Clayton, Alabama, for Ruth Stevens. Their intentions were sincere but never did these reunions occur. Christmas Eve at the appointed hour we assembled in the chapel. The masses seemed to go on forever. Finally we went to the dining room. The best linen, crystal and china was on the table. Hand painted place settings with our names completed the beautiful scene. It was a wonderful and strange little Christmas party, with us speaking no Dutch and the nuns speaking no English, except for the tiny bit Mother Superior knew. Somehow, though, we communicated with gestures, nods, smiles or frowns; but we understood one another and that too was beautiful. Just after the tea was poured, we heard sounds of engines. One of the drivers came and said for us to report at once. The tea was too hot to drink; yet we did not want to waste it. Also we would be on the road for many hours and might not have anything hot to drink or eat for days. We would not be cheated out of this last luxury. "Please tell the colonel to give us a few more minutes," said Marie, our chief nurse. "Yes, ma'am," he replied and left. For some reason that tea took a long time to cool off. The driver returned to say that we were holding up the convoy and must come immediately. Then the horns began to blow like mad. Down in the street the Red Ball Express was waiting. Trucks stretched out as far as we could see. Headlights blazing, horns blowing, the colonel shouting: "Those damn women are holding up the war." It was quite a sight. The nuns followed us out to the street, waving and saying Merry Christmas in Dutch. We wished them the same and thanked them for their kindness and hospitality through our friend, Leo. Then we were rolling along toward the border and Germany. That was Christmas Day in 1944, one I am not likely to forget. 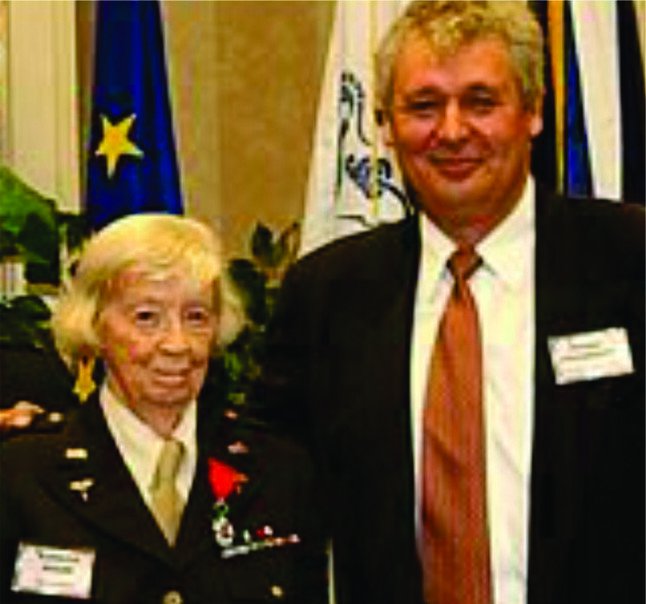 Lt. Katherine Nolan was among 32 World War II veterans who received the Legion of Honor from the French government on the anniversary of D-Day, this past June 6 at a ceremony in Naples, Fla. She was the only woman to receive the honor that day. The Legion of Honor, France's highest award, has been given since 2004 to U.S. veterans who helped liberate France during World War II. This year's group was the largest to receive the award in one ceremony. 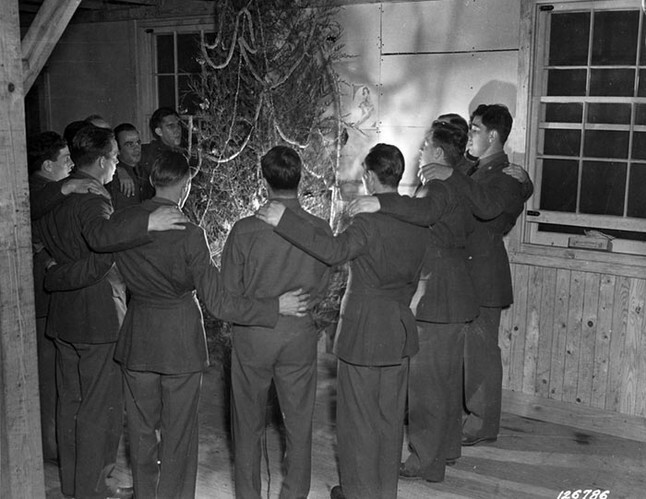 All Pennsylvania soldiers in Co. B of the 10th Regiment in Camp Lee's Quartermaster Replacement Center gather to sing carols around the tree to show how men of the Keystone State demonstrate Christmas spirit. Camp Lee, Virginia. December 1941. 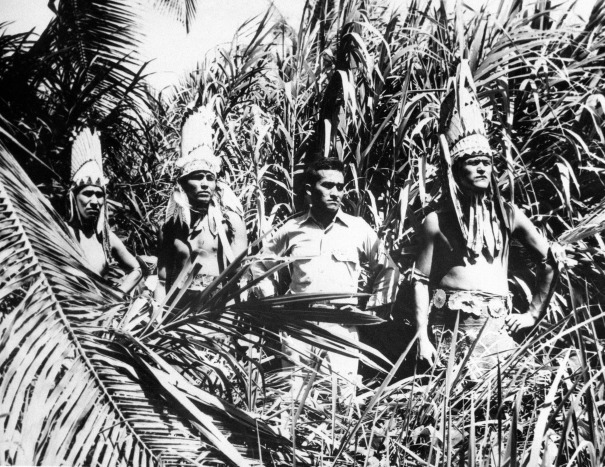 American Navajo Indians, members of the 158th U.S. Infantry, who have played a prominent part in breaking through the main Japanese defences in New Guinea on Jan. 20, 1944, pose in jungle grass regalia they made on a South Pacific Island to celebrate their traditional Christmas dances. with the help of nurses, patients not tied down to bed designed and put up the trimmings. Note the homemade Christmas tree. Iceland, Dec. 25, 1942. Just before Santa Claus leaves his "jeep-sleigh" the guard of honor stands on each side presenting arms to the Christmas visitor. Camp Lee, Virginia, Quartermaster Replacement Center. December 1941. 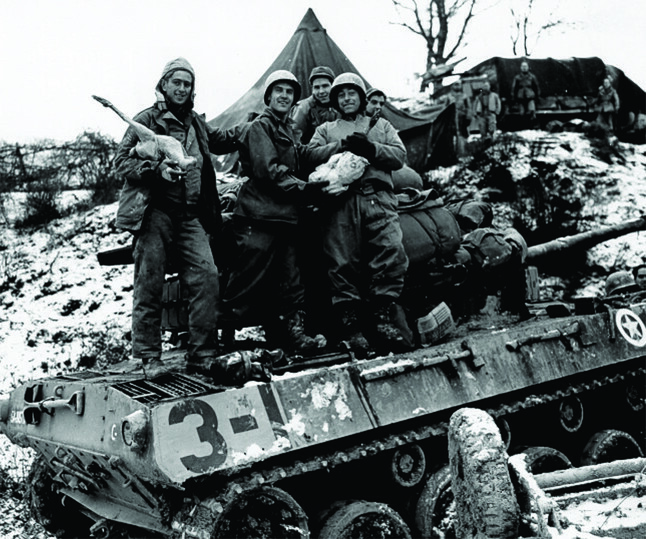 AT TWILIGHT ON A BONE-CHILLING CHRISTMAS EVE 1944, the Leopoldville ferried American troops toward Cherbourg, France. The former luxury liner had left Southampton, England, around 9 a.m., carrying combat infantry outfits of the 66th Division to fight in the Battle of the Bulge. As Christmas lights glistened in the distance and soldiers sang carols on deck, a German lieutenant in a nearby U-boat sent a torpedo crashing into the ship's side. Hundreds of men were blown apart; hundreds more drowned after being sucked under the ship, or froze in the icy waters of the English Channel. When Christmas morning dawned, more than 800 soldiers were dead -- the worst disaster to befall an American infantry division as a result of an enemy submarine attack. One survivor was a 19-year-old from Omaha, an easygoing kid from an active Presbyterian home who entered the service out of a sense of justice. Now 77 and living in Minneapolis, he only recently felt ready to tell his story by sharing a small piece of it in a holiday memory he sent to the Star Tribune. He could not have known how deeply I wanted to hear it. That's because there was another man on that ship, a 19-year-old Jewish soldier from Paterson, N.J., who chose never to speak of that night to his children. When he died at age 63, those memories died with him. That man was my father. "You've got to read this one." Every December, the Star Tribune solicits stories from readers for a "Holiday Giving" feature. Warm stories pour in about kindnesses from strangers and loved ones. Truth is, I don't read them all. But when Henry Andersen's story crossed my colleague's desk, she was particularly moved and passed it along to me. I read every word. "My particular troopship, Leopoldville III . . . ," Andersen wrote. I knew that my father had been awarded a Purple Heart for what he endured that night. But as a child, I never understood the magnitude of the loss, and he never found the words to tell me. Only once did he speak of it, to my mother on Christmas night 1953, the year they were married. He startled her as he sat in the bathtub and she stood at the bathroom sink of their first apartment in Detroit. In a hushed voice, he told her that he was forever haunted by the memory of swimming in the English Channel, loaded down with field gear, toward a piece of wood, and reaching it before another soldier could. "I wanted to live," he told my mother, she all of 21, his grief so sudden and raw that she has never shed that night's sadness. He was in the water nearly an hour, he said, before he was pulled to safety by a French fishing vessel. I made a copy of Andersen's note and took it home. That night, I reached for a book my mother had sent me, a book I'd been meaning to read for three years -- "S.S. Leopoldville Disaster," by Allan Andrade. I knew that my father's name was listed in the back under "Survivors." Sgt. Henry William Andersen was there, too. Both served in weapons platoons, Andersen in Company E, my father in Company L.
With my 11-year-old son sitting next to me on the bed, I made the phone call. "Mr. Andersen, I'd like to tell you about an amazing coincidence," I said. Two days later, I was sitting in the living room of the Andersens' apartment in downtown Minneapolis. Henry (Hank) Andersen is, at 77, a gregarious man, a natty dresser and still quite a looker. He stands 6 feet 3 (down from his youthful high of 6-5) and remains a trim 170 pounds. He has silver hair, sky-blue eyes, ski-slope cheekbones (courtesy of his Danish roots), and a deep, comforting voice that served him well over his 40 years as a Presbyterian minister. He wears hearing aids because of partial hearing loss he suffered as a mortar sergeant. The apartment he shares with his wife, Mary, is filled with religious art, as well as keepsakes of his life nearly 60 years ago, including several books about the Leopoldville disaster, Army photographs and his khaki Eisenhower jacket. It still fits. Sidney Rosenblum and Hank Andersen were born in 1925, and the Depression hit their families hard. Andersen's father took off every day at 4:30 a.m. from their home in Omaha, peddling eggs, Wonder bread and vegetables from nearby farmers' markets. He'd return home for dinner, resting only on Sundays. His mother balanced homemaking with community activism as president of the Nebraska Gladiolus Society and substitute violinist in the Omaha Symphony. Andersen played clarinet and saxophone in the high school marching band and formed his own dance band, "Hank's Hepcats," which played at school dances on Friday afternoons. My father liked to say his Russian immigrant parents were so poor they couldn't afford to give him a middle name. Like Andersen, he found joy in music. By 10, he was singing at weddings and bar mitzvahs, earning as much as $10 for Oh Promise Me. He promptly gave the money to his parents. He became a student cantor and starred in school musicals. He and Andersen were called to duty at age 18. Both were smart and tall, and both were quickly promoted to sergeant. "They liked big guys to give orders," Andersen said. At about 2 a.m. on Dec. 24, 1944, Andersen and my father were among more than 2,200 troops from the 262nd and 264th regiments called to emergency duty in the Battle of the Bulge. It would be the largest land battle of World War II, and would ultimately decide the fate of Nazi Germany. Andersen remembers the frenzied atmosphere that morning. "It was a miserable day," he said. "Cold, rainy, dark." Soldiers boarded the Leopoldville for the nine-hour ride, "tumbling over one another. Officers couldn't even get a list together of who was on the boat." Cargo space had been converted into troop compartments to accommodate more than twice the number of soldiers than the ship was designed to carry. Aisles between tiers were crammed with packs, rifles, duffel bags and steel helmets. Life jackets had been issued haphazardly, if at all, and without instruction. There was nothing to eat but uncooked K-rations, hard cheese and chocolate bars. Around 9 a.m., the 501-foot, 11,500-ton transport ship pulled away from dock and led a convoy into the English Channel. Five and a half miles outside Cherbourg, just before 6 p.m., Andersen noticed a heaviness overtaking the soldiers. Many were seasick, and many were despondent as they glimpsed Christmas lights in the distance and thought of how far they were from home. He called to his squad: "Come on, guys! It's Christmas Eve!" Twenty or 30 men followed Andersen down to the hold to serenade their fellow soldiers with boisterous carols: God Rest Ye Merry, Gentlemen, We Three Kings of Orient Are, Hark! The Herald Angels Sing. As the men moved back up to the deck, their voices rose, and dozens of other soldiers joined them until nearly 200 were singing. Andersen does not recall meeting my father, nor does he know for sure whether my father was on deck when the torpedo hit. But he believes that he was. "There was nowhere else to go," he said. "That's where the focus was." I believe he was there, too. It is no stretch to picture the man who loved to sing joining in this inspirational moment. And it would explain something I've always wondered about, something that has been the inspiration for great ribbing by my friends: I'm a Jewish girl who loves Christmas music. I no longer have to wonder why. Christmas carols probably saved my father's life. The torpedo hit just after 6 p.m. in the bottom stern section of the ship, blowing a huge hole in the hull. Andersen's first memory as the ship trembled was of a geyser shooting skyward. The lights went out, the ship began to list. Andersen watched the Belgian crewmen and the ship's first mate rush to lower two of the precious few lifeboats. "We thought they were for us," he said. "Then the crew jumped in them and bid us farewell." As soldiers screamed for their lives, Andersen did the only thing he could think to do. He kept singing. God Rest Ye Merry, Gentlemen, We Three Kings of Orient Are and Hark! The Herald Angels Sing. His booming voice rang out. Those carols, he said, "were my lifeline." As the ship began to sink, a British destroyer in the convoy, the H.M.S. Brilliant, pulled up next to the Leopoldville to rescue the soldiers. Many did not jump far enough and were crushed between the two ships as horrified shipmates watched. Others, including my father, spilled into the water. Andersen looked around at the men of Company E. "They had frozen. No one would jump. I thought, 'Hey, buddy, you're the sergeant. You have to move.' Instinctively, I got up on the rail. The destroyer was coming up on the rail. Our ship was coming down. I jumped." He made it, and slid across the deck. He helped two or three others across before passing out. 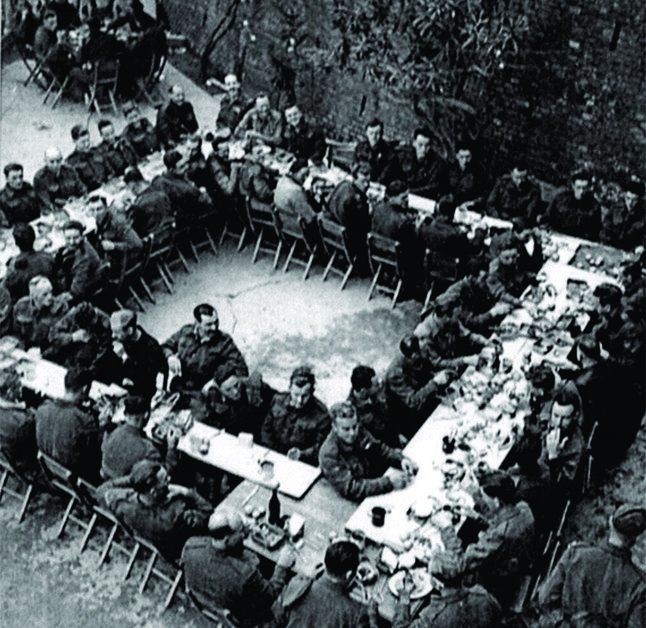 Black quartermaster troops stationed in Cherbourg and segregated from white troops, offered survivors their Christmas dinner. Andersen, too grief-stricken to think of eating, didn't want to go, but an order was an order. Soon, 2 1/2-ton trucks came to pick up the men and take them to the black troops' stationing area. 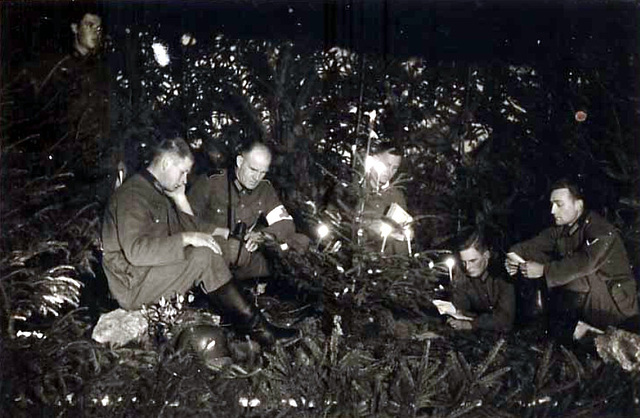 "As we lined up for their dinner, gradually the entire quartermaster outfit surrounded us and began singing Christmas carols, gently, softly, magnificently." A strange and profound feeling swept over him. "In sorrow and wonder," said Andersen, his voice breaking, "we began to sing with them." The music, he said, gave him sustenance to go on, something to believe in. "Health. Hope. Comfort. Peace. When I left that place, I was healed." My father was discharged in April 194; Andersen a few weeks later. Both were awarded Purple Hearts, and both went on to marry and raise children into adulthood. Both chose careers in healing professions, hoping their work could, in part, help them understand the darkest side of human nature and the capacity to overcome it. Andersen had planned to become a lawyer. Instead, he graduated from the McCormick Seminary, now affiliated with the University of Chicago, and spent nearly 40 years as a minister in Kansas, Chicago and Cleveland. He and Mary moved to Minneapolis two years ago to be near their son Tim Hart-Andersen, senior pastor of Westminster Presbyterian Church in downtown Minneapolis, and his family. They have three other children and nine grandchildren. After the war, my father turned down a role in a traveling Broadway production and completed his bachelor's degree in psychology, a field he would revel in for more than 30 years. He had not an ounce of bitterness when, at 63, he developed inoperable cancer. He had already cheated death once. Andersen says he is still haunted by a question that he knows has no answer. "I'm puzzled why I survived and why many, many didn't," he said. Every Christmas, he relives that question, finding strength in faith and family. There is a Yiddish word, besheret, which means something that was meant to be. Before leaving the Andersen's last week, I was filled with gratitude but still felt my visit unfinished. We had looked through every book but one, and I realized that I had come for more than stories. I reached for what looked like a high school yearbook, musty and tattered with age. On the cover was written "The Black Panther: 66th Division." The pages were divided by companies, but there were no names under photographs of the young men. With Mary's help, I searched the section marked "Company E" and there, second row down on the right, sixth photograph over, was her Hank, movie-star handsome, the happy-go-lucky kid from Omaha. I turned a few pages to Company L. And, of course, there he was, in the same position on his page that Andersen was on his, second row down on the right, sixth photograph over, the singing kid from Paterson, cap tilted almost too far to the side, ears protruding, with the playful smile of someone who could not have imagined what he was about to see. 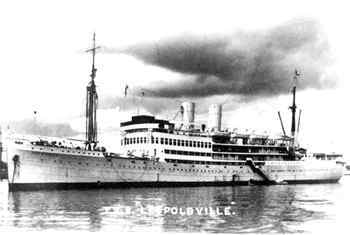 On Dec. 24, 1944, the troopship S.S. Leopoldville left Southampton, England, and set out for Cherbourg, France. Hundreds of soldiers, boys really, would perish in the icy waters as their families back home sang Christmas carols and awaited word of their return. One who survived couldn't tell the story of that night. But with the healing touch of time, and a healthy dose of besheret, another could. Neither ever forgot what he was given that night, nor what he should work for in his life. In this season, and in every other, there is really nothing more they could ask. and serenading all passersby with Christmas Carols. playing Santa for British children on December 5, 1942, Perham Downs, England. Burma Banshees, have a nonrefundable gift yet to be delivered. on Dec. 23, 1942, are Capt. Maclin Frierson, left, of Birmingham Ala., and Pfc. that were given to them by the American Red Cross. 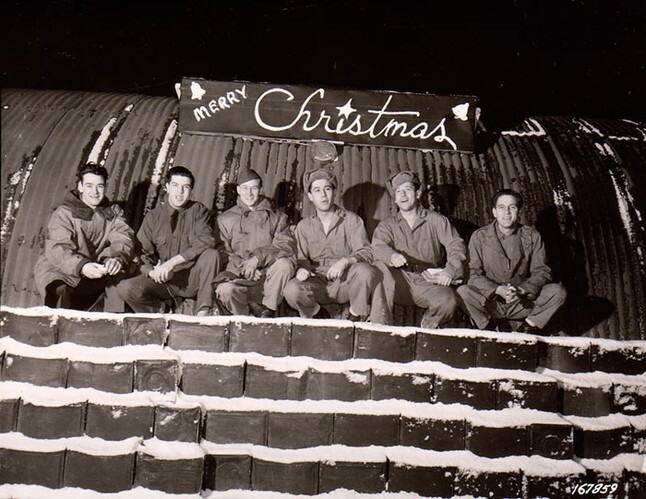 brings the Christmas message to the bomber flight line on Dec. 24, 1942. ON CHRISTMAS EVE 1945, President Harry S. Truman touched a button and the National Christmas Tree was ablaze with thousands of red and green lights. 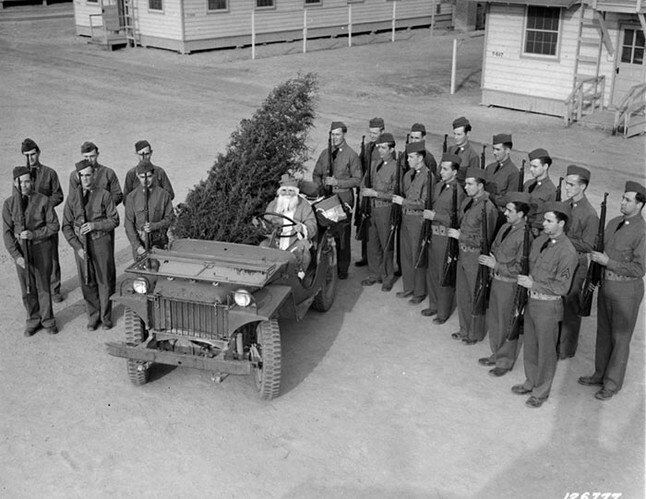 The tree had been dark during World War II, but now it was time to celebrate as the U.S. military started to bring as many GI’s home as possible. The occasion is remembered in 2005 by National Public Radio/Boston's program "Here and Now--Remembering the First Christmas after World War II." Their guest is author Matthew Litt who speaks about his recent book, Christmas 1945: The Story of the Greatest Celebration in American History. Not only does Litt report about the momentous holiday when peace return to the world, his text presents a capsulated view of each year that the world was at war. The interview is uplifting and moving as Litt relates some of personal stories he collected, and it is further enhanced by the poignant carols added by NPR. 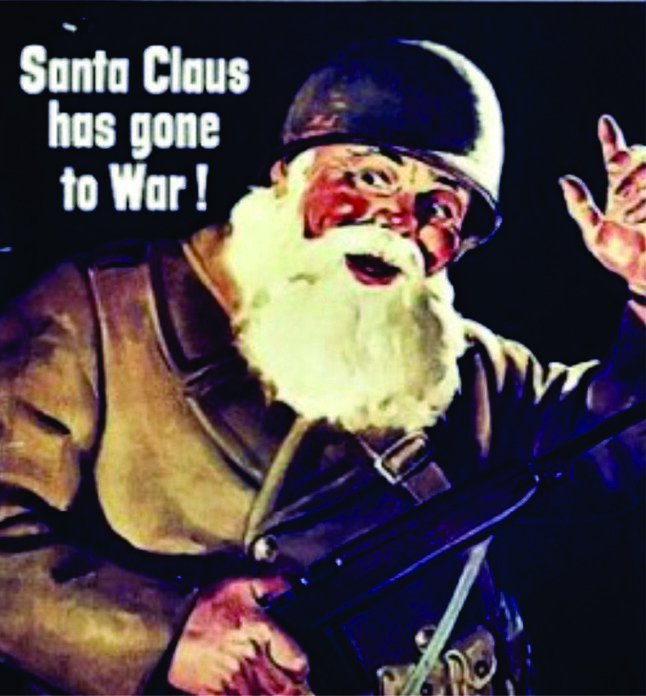 It provides an excellent conclusion to our look at "Christmas during World War II: On the Front Line and On the Home Front." To play, click on the arrow within the blue box.